After my series of posts about Thomas Jefferson it seemed only appropriate that I quench my thirst with some wine from Virginia. Tarara Winery celebrated their 25th anniversary last year. Though I was unable to attend the celebration, Shawn Sisson sent me samples so I could join in on the fun. You may recognize the name because it was two summers ago that the vibrant 2011 Boneyard White became a fixture at my house. This time I started with a pair of wines from the balanced 2012 vintage. 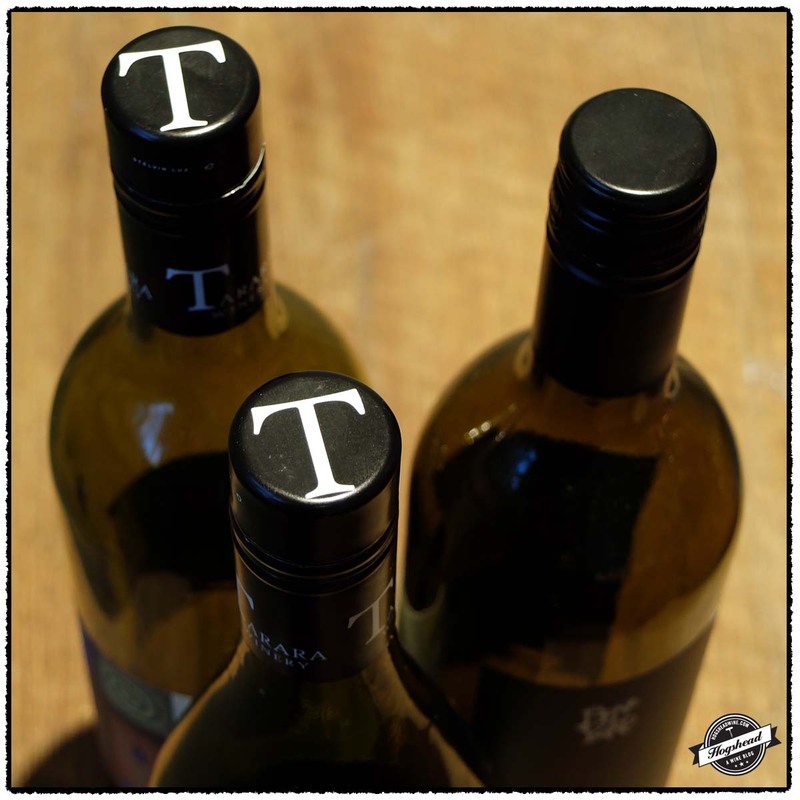 The 2012 Tarara Winery, Nevaeh White offered toasted accents with green apple that had a fair vein of acidity. 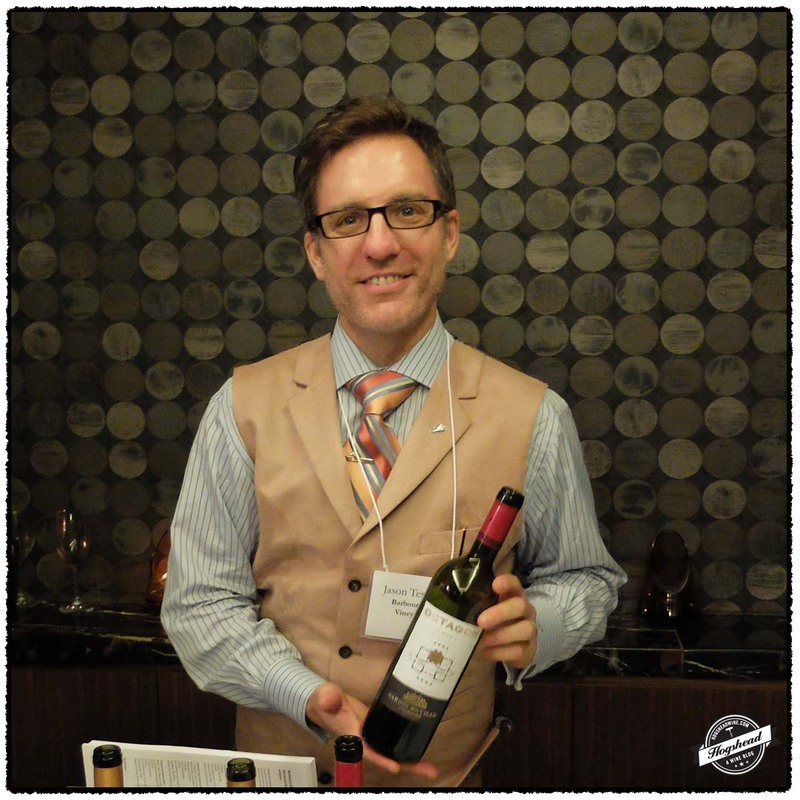 I thought the 2012 Tarara Winery, Cabernet Franc was a good reflection of the vintage with its aromatic nose and flavors bearing both weight and racy hints. It had a good mix of fruit and greenhouse florals which was, quite frankly, rather enjoyable. From a hot and dry vintage came the 2010 The Bone Yard, Syrah. This was a mouth filling, savory, and textured wine that took me away from locality. 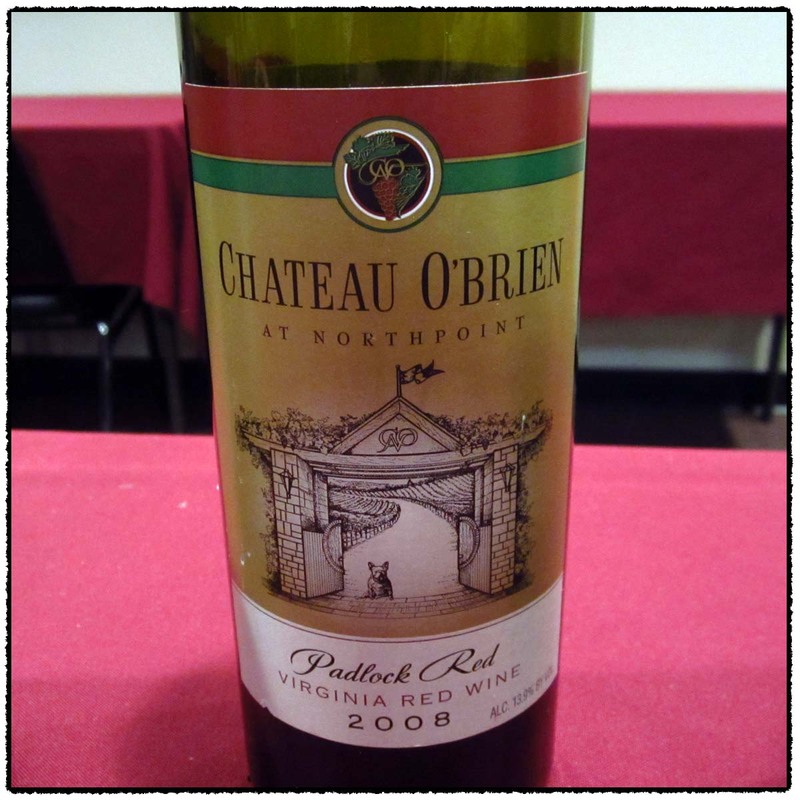 This powerful wine bears its long upbringing in Virginian oak well but it does need some time to integrate the flavors. It will already appeal to many people but I recommend you hold on to your bottles to see how it develops. This wine is a blend of 62% Chardonnay and 38% Viognier that was barrel fermented with indigenous yeasts then aged for ten months. Alcohol 13%. There was a light, golden yellow color that matched the nose with its toast accented aromas of yellow fruit. In the mouth were some tart green apple flavors in the start followed by a toast hint in the middle. There was a fair zing from the acidity that was felt on the front and sides of the tongue. The wine took on a rounded feel along with a hint of stones and a long finish with salivating acidity. ** Now-2016. This wine is 100% Cabernet Franc that was aged for 12 months in new and used Virginian oak. Alcohol 13%. The nose revealed cherries and greenhouse scented fruit. In the mouth was brighter red fruit accented by a greenhouse floral start, tart fruit, and a black fruited finish. With air the wine took on some weight, racy black hints, and showed attractive salivating acidity. This opened up well. ** Now-2018. This wine is a blend of 96% Syrah and 4% Viognier that was co-fermented with indigenous years in stainless steel then aged for 38 months in Virginian oak. Alcohol 15%. There were mouth filling flavors of savory, black fruit, stones, and generally salivating flavor. The ripeness played it close but with extended air the tart black fruit developed a red hint and took on more texture. This savory black wine had stones in the finish, smooth tannins, and a vanilla hint at the end. It needs a little time to integrate the oak. *** Now-2020. Inspired by my Thanksgiving wine research I decided to serve American wines for our Thanksgiving meal. I opened up a pair of bubbles, a pair of whites, and a pair of red wines. While this allowed us to match the variety of dishes and account for personal preferences, my real motive was to allow comparison amongst the wines. 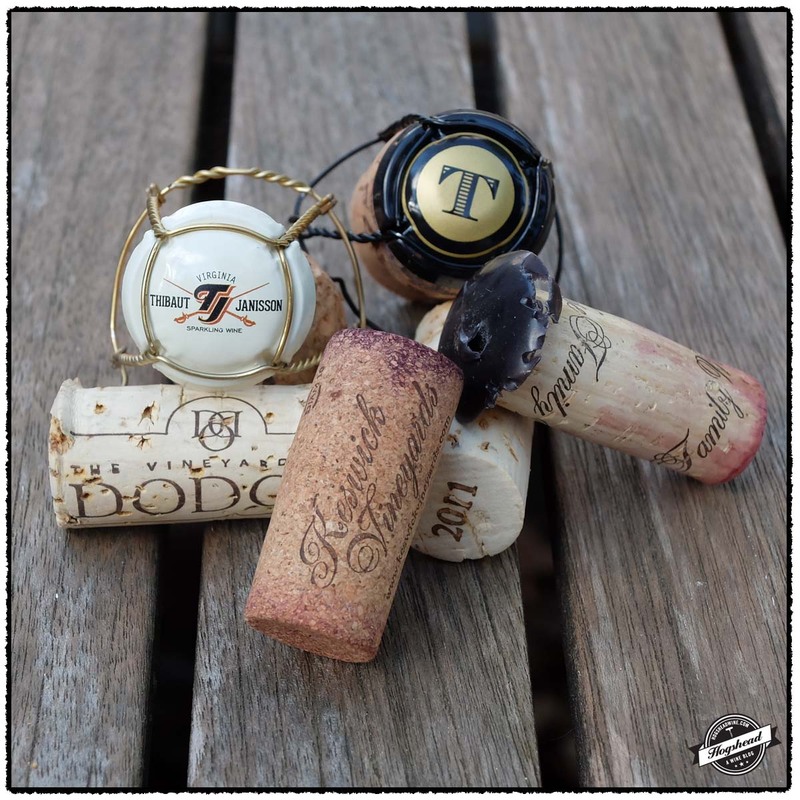 Judging by the amount of wine left in the bottles the NV Thibaut-Janisson Winery, Blanc de Chardonnay Brut, Monticello and 2010 Keswick Vineyards, Cabernet Sauvignon, Estate Reserve, Monticello tied for favorite wines. 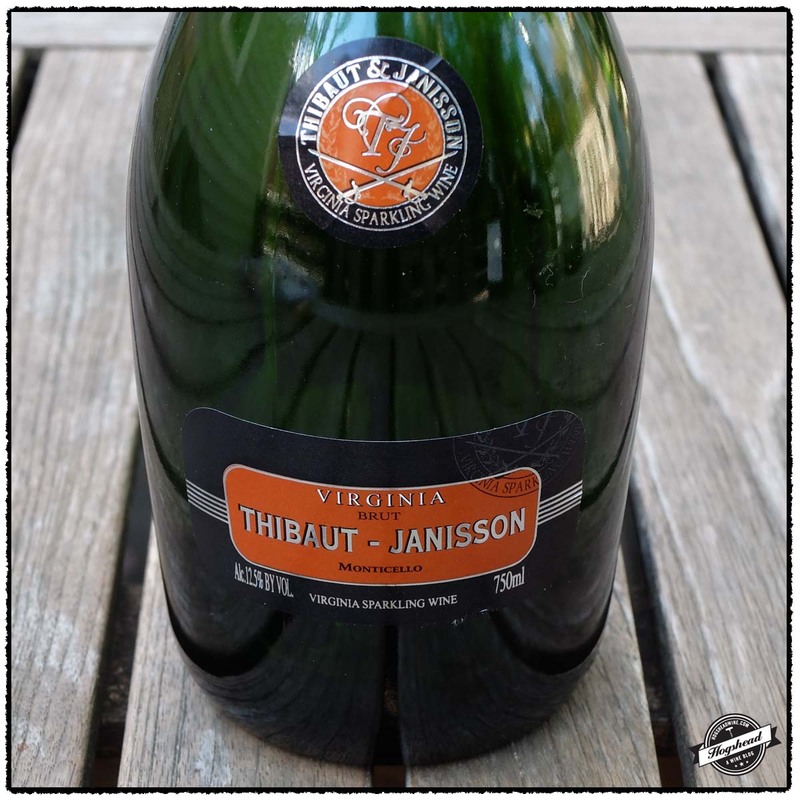 The Thibaut-Janisson was refreshing and so easy to drink while snacking on shrimp and cheese as we finished up the meal. 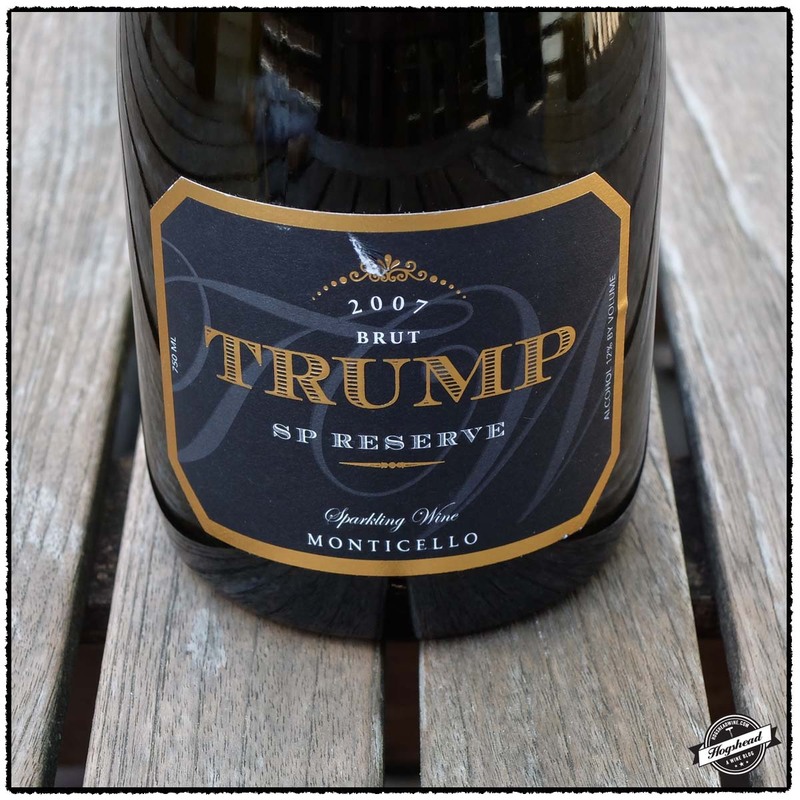 The 2007 Trump Winery, SP Reserve Brut, Monticello is not without its merits, the biggest one is that this is a mature sparkling wine. It might be more of an acquired taste. No one paid much heed to the white wines but I did. 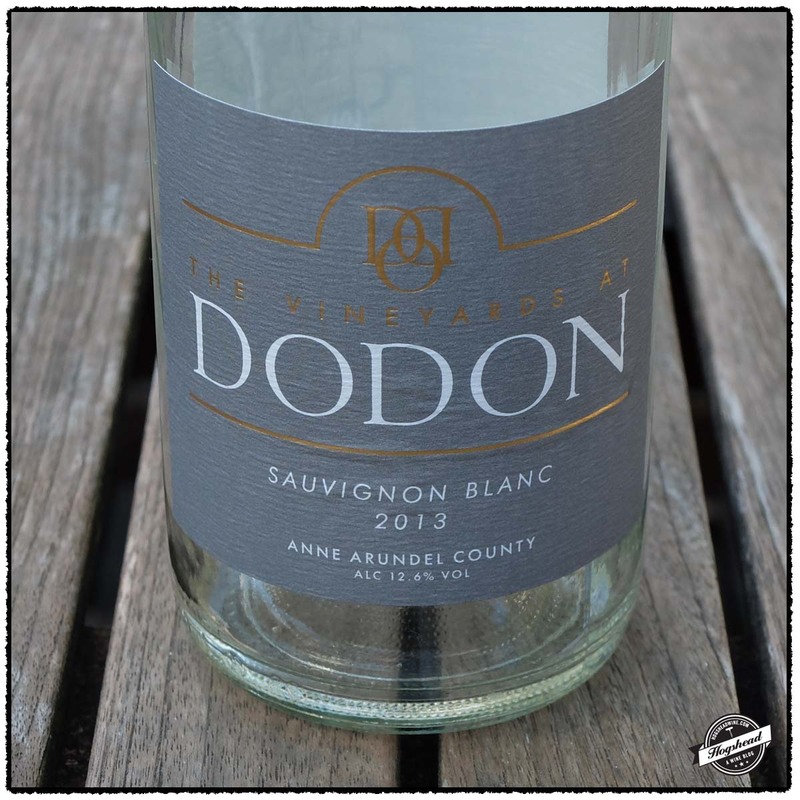 For me there was too much of the sweet tropical notes to the 2013 The Vineyards at Dodon, Sauvignon Blanc, Anne Arundel County. I preferred it several days later at room temperature. 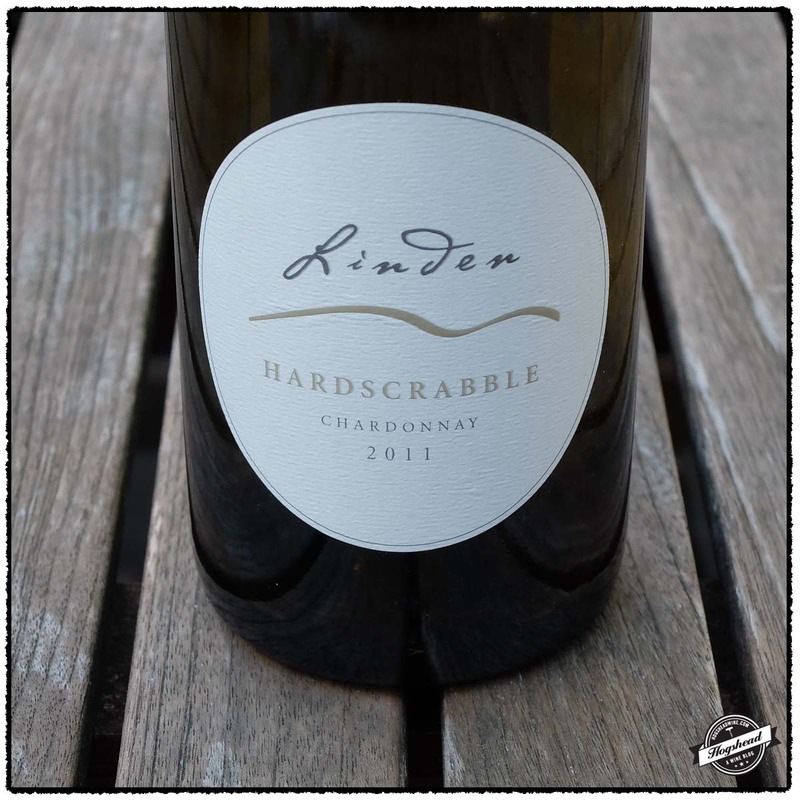 I tasted the 2013 Linden, Chardonnay, Hardscrabble over four days. It remained fairly tight, just losing its creamy start, so I would cellar this another year before trying again. 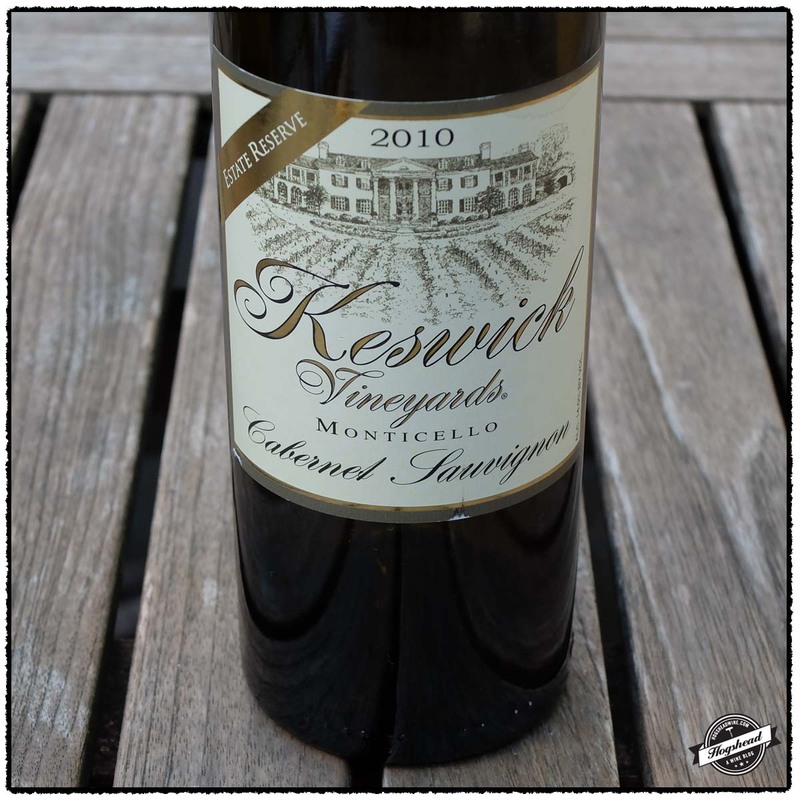 I had everyone taste the 2010 Keswick Vineyards, Cabernet Sauvignon, Estate Reserve, Monticello first due to its younger flavors. This was a big hit with people taking big pours. It was easy to see why for the dense fruit overlay everything providing a seductive drink. I would try this again next year so that it can shake off some baby fat. 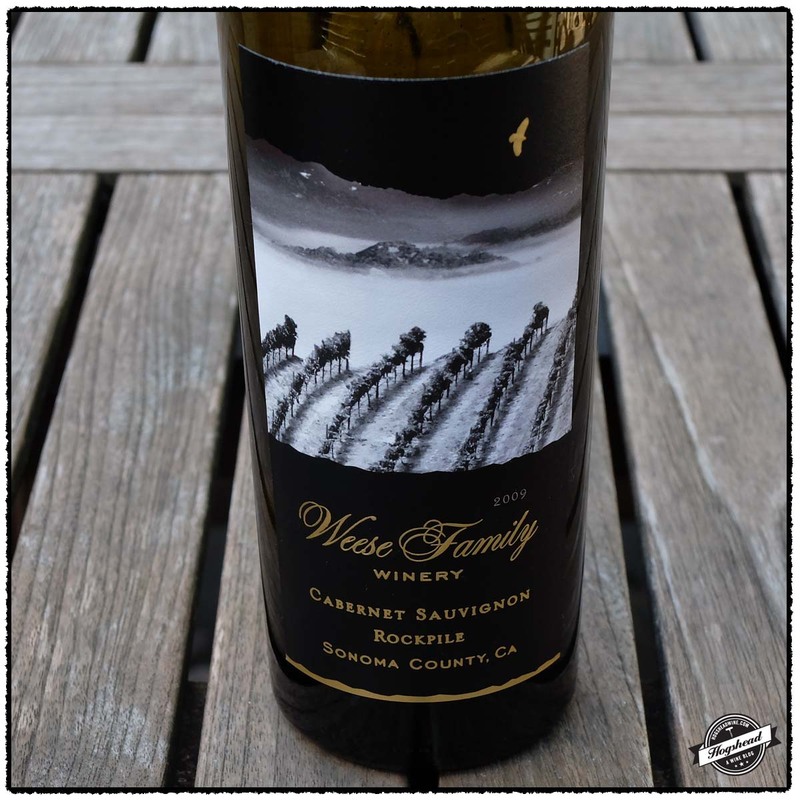 The 2009 Weese Family Winery, Cabernet Sauvignon, Rockpile, Sonoma County was too old-school for most people which meant there was more to me to drink. This was my favorite wine of the night and the next night and even the next night. The wine proved young on each night but the flavors were spot on for their complexity transcended fruit descriptors. If you try a bottle this winter be sure to accompany it with some food, otherwise cellar it for a few years. The Trump and Keswick wines were purchased at the estates, everything else came from MacArthur Beverages. This wine is 100% Chardonnay. Alcohol 12.5%. The color was a light white straw. The nose had a delicate toast which eventually took on yeasty aromas of apple cider. There was an immediately, bubbly mousse in the mouth followed by white fruit and a tangy finish. The wine became rounder with air with a pleasing balance between apple flavors and some spices. This solid wine had a lot of presence on the tongue and proved generally refreshing. *** Now-2016. This wine is 100% Chardonnay that was aged on the lees for four years in a combination of French oak and stainless steel. Alcohol 12%. The medium golden-yellow color was a prelude to the rich aromas of spices and yeast. 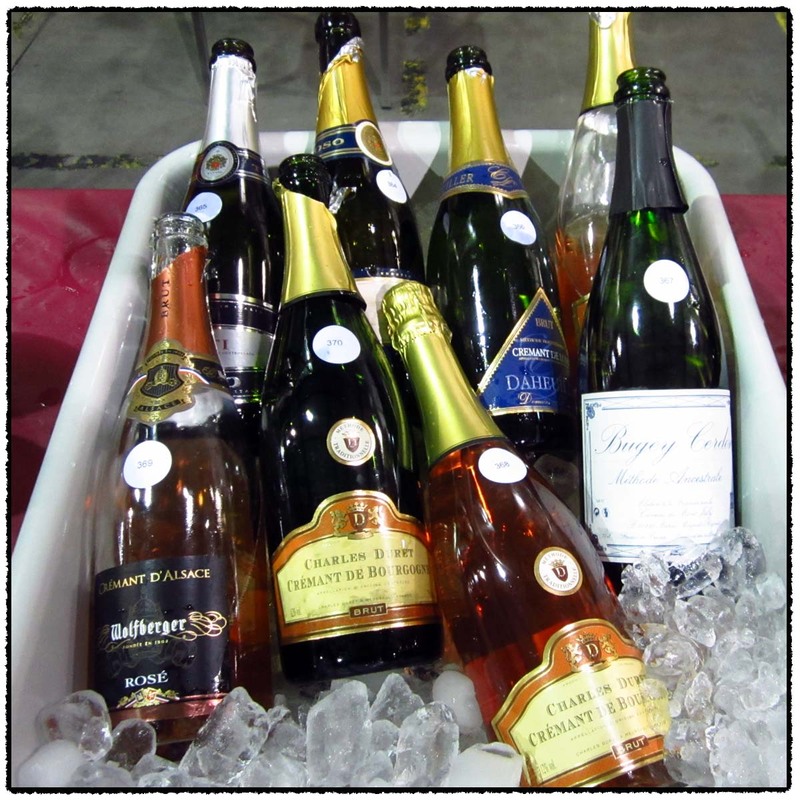 In the mouth were robust flavors with very fine, bursting bubbles. The flavors were clearly mature with a biscuit note. With air there were fallen orchard fruit and a smoky hint. ** Now. This wine is 100% Sauvignon Blanc aged for five months on the lees in stainless steel. Alcohol 12.6%. The color was a very light, green straw. The nose bore sweet, tropical flowers. In the mouth the good, up front acidity made way to tropical fruit. There was some ripe fruit, a rounded feel, some stones, and salivating acidity in the aftertaste. Not really my style. * Now. Alcohol 13.5%. The nose revealed gently toasty white fruit. The wine was round, almost creamy in the mouth with tart, green apple fruit and a good mouth feel. The good acidity outlived the creamy mouthfeel. With air a slight hint of oak came out. **(*) 2016-2022. This wine is 100% Cabernet Sauvignon that was aged for 22 months in French and American oak. Alcohol 14%. There was a rather dark color of black cherry. There were fresh herbs on the nose that preceded the dense, fresh, young fruit in the mouth. The wine was seamless with savory hints, cranberry and black fruit, and a tart, almost puckering finish. This was a very fruity wine with lots of supporting oak, acidity on the sides of the tongue and a salivating finish. **(*) Now-2020. This wine is a blend of 87% Cabernet Sauvignon, 9% Cabernet Franc, 4% Petit Verdot that was aged for 24 months in 50% new American and French oak. Alcohol 14.5%. The color was a medium plus black cherry. In the mouth were old-school flavors from the very first glass. The red fruit had some riper flavor before black fruit and drying tannins came out. There was a good balance of cocoa, some vanilla, and extract. This should clearly develop well in the cellar but was quite enjoyable with food. ***(*) Now-2022. 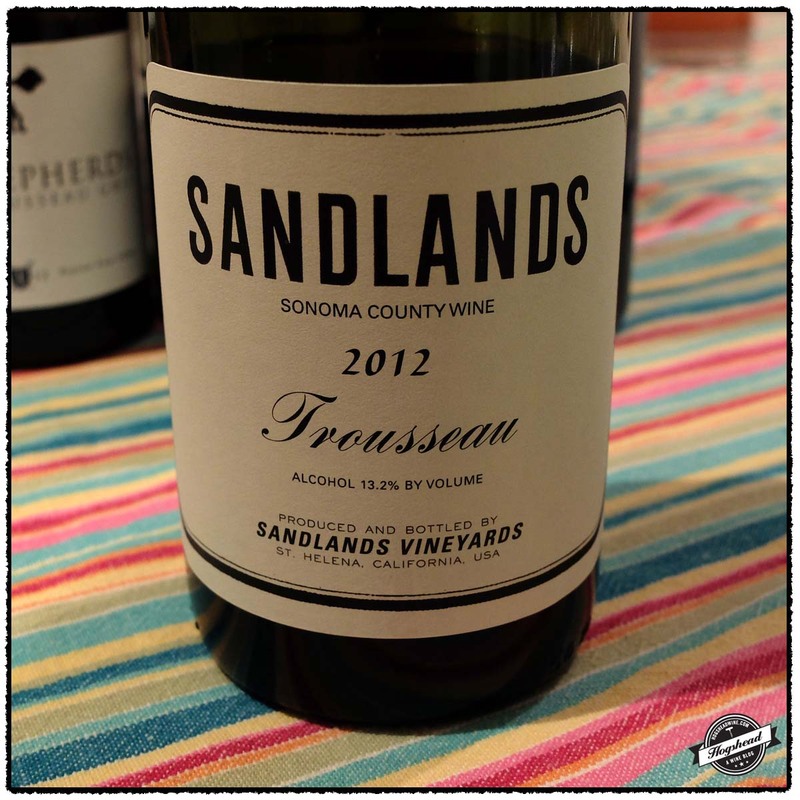 Lou texted me that he tried one of the wines he received in the inaugural shipment from Sandlands Vineyards. It was special. Sandlands Vineyards is the project of Tegan and Olivia Passalacqua. Tegan has been making wine at Turley Wine Cellars for some time. These Sandlands wines are made with fruit from old, head-trained and dry-farmed vines in California. Lou mentioned he had a bottle of the Trousseau Noir so I knew I had to acquire a bottle of William Allen’s Two Shepherds Trousseau Gris. We then added in wines of Fausse Piste from Washington, Linden Vineyards from Virginia, and Edmunds St John from California. Our tasting was born. I will keep this brief by just posting my thoughts. 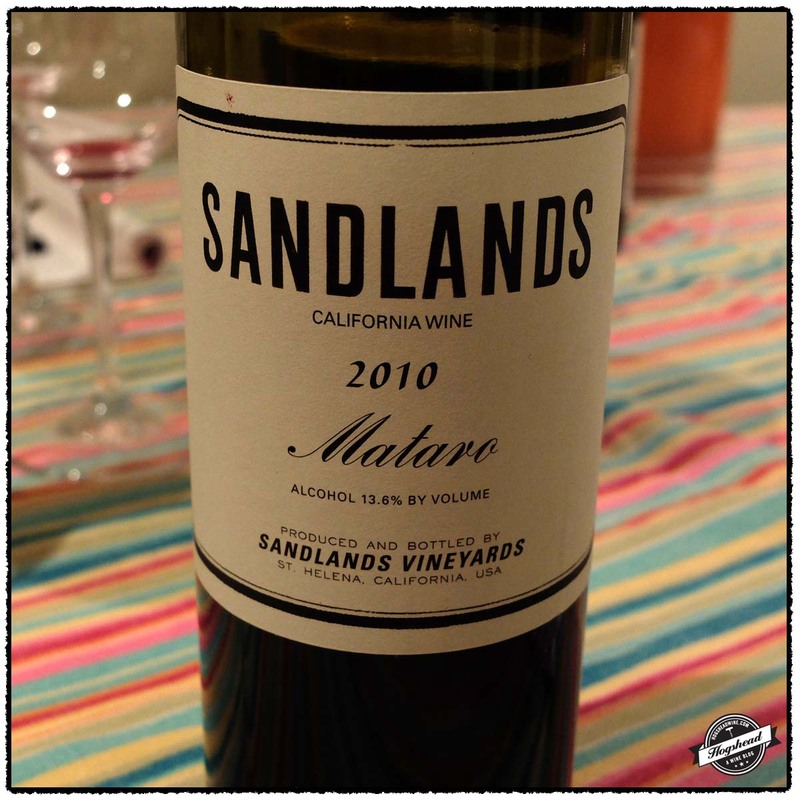 The wines of Sandlands are indeed special and exciting. You must get on the waiting list right away! I am digging Trousseau Gris and Trousseau Noir from California. Those in Washington, DC, are fortunate that you can buy the Two Shepherds wines at Weygandt Wines. 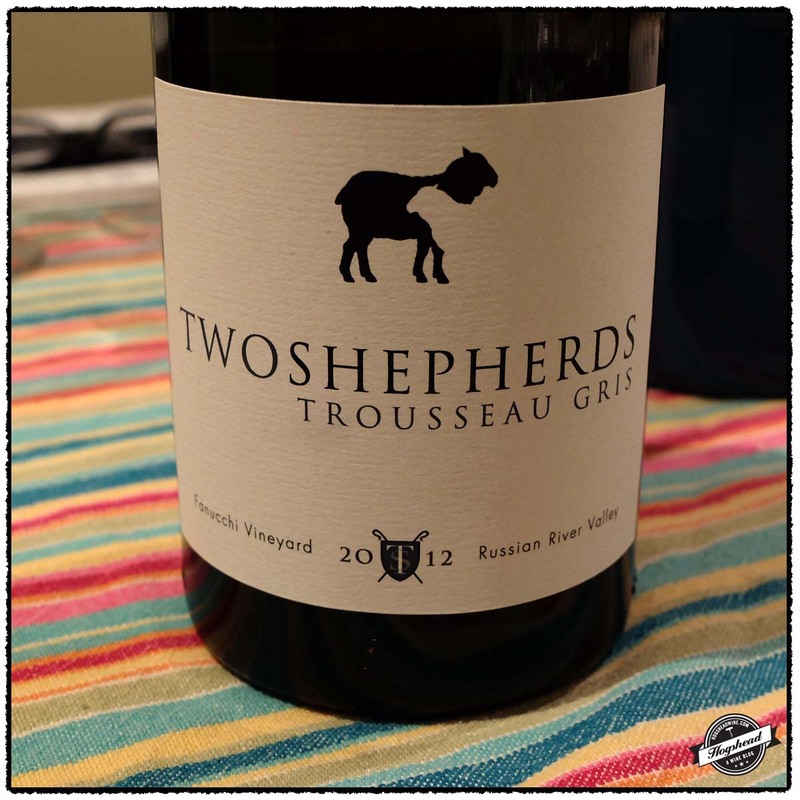 Ask Tim or Warren if there is any Trousseau Gris left because William Allen has no more of the 2012 vintage. 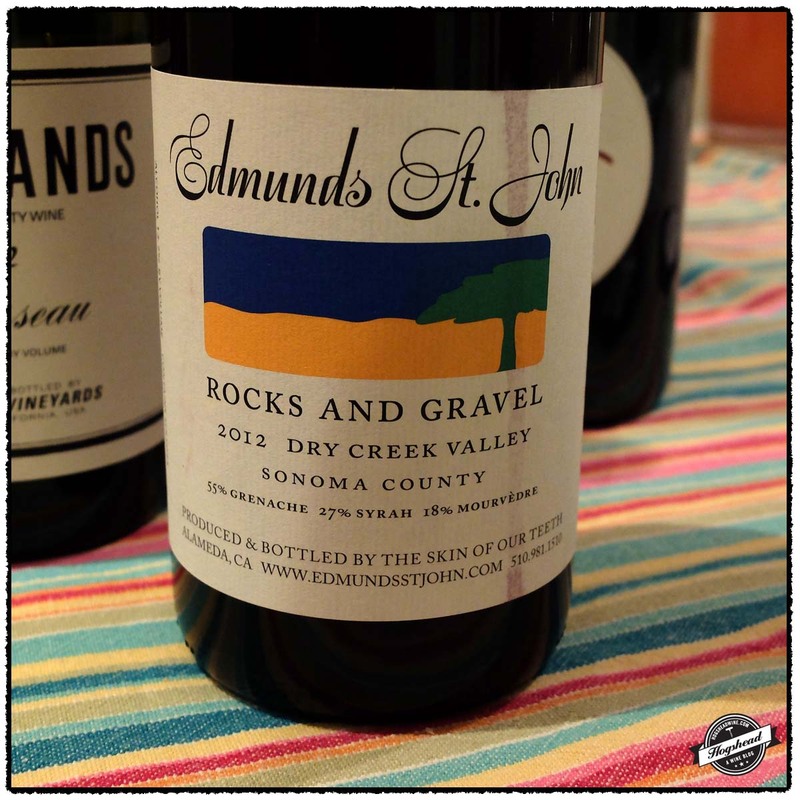 While you are at the shop pick up the Edmunds St John, Rocks + Gravel. You will be strongly satisfied drinking it now but be sure to cellar some as well. 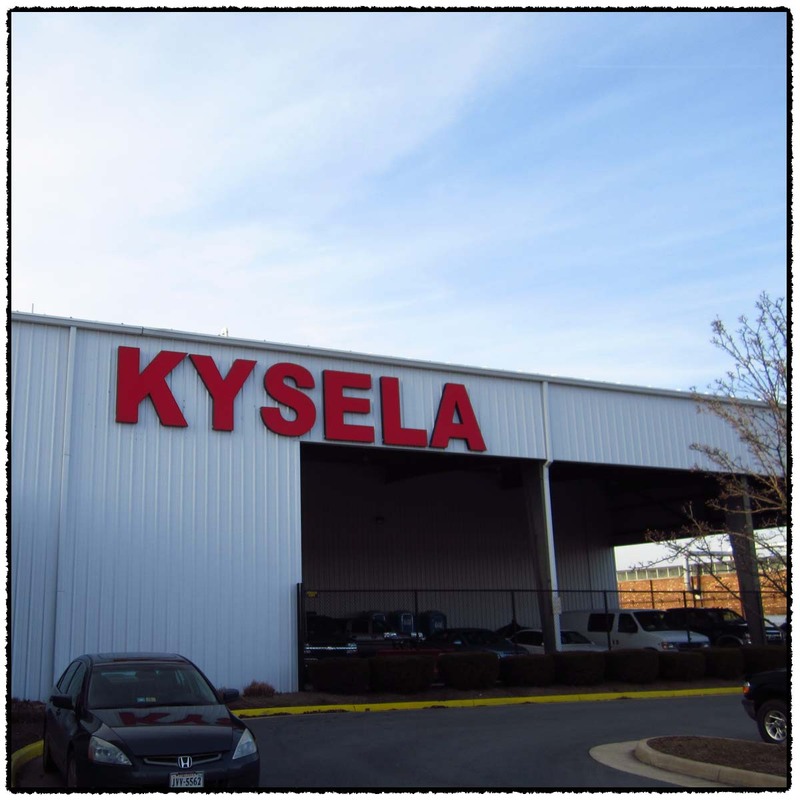 Over the years I have felt there was a certain funk or lurking flavor that I did not like in the red wines of Virginia. 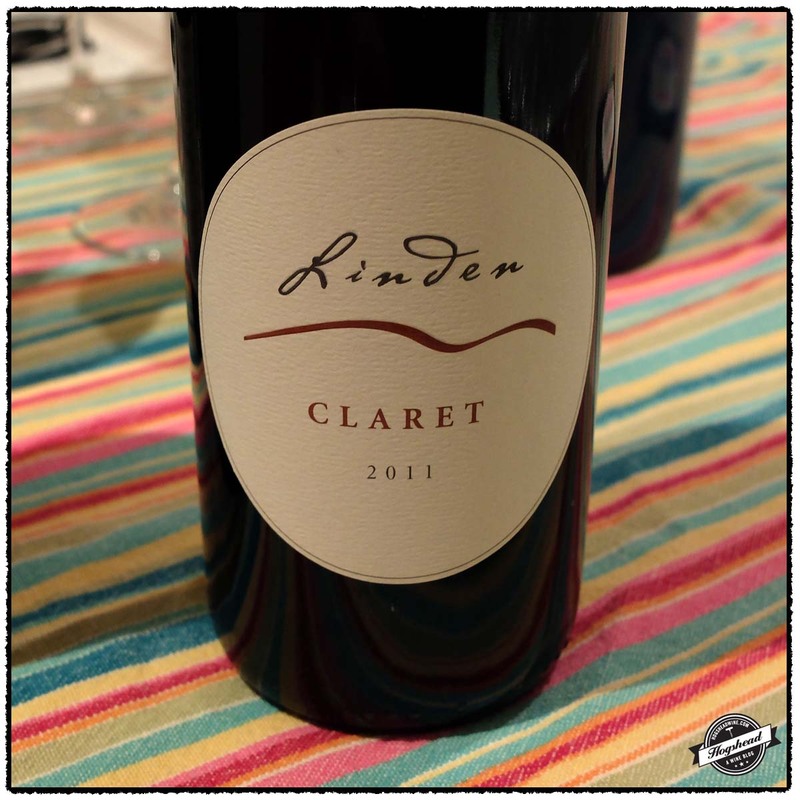 The Linden, Claret moves beyond that and lives up to the classic Claret name. Thanks to Phil at MacArthur Beverages for putting this in my sights. This wine is 100% Trousseau Gris. Alcohol 13.8%. The color was of a bright copper kettle. The nose was beautiful with ripe, floral aromas. In the mouth the round flavors became racy in the middle then took on dry red flavors with integrated acidity. The flavors were well supported becoming ripe and gentle in the finish. On the second night there was a lovely, dense body to this unique wine. ***(*) Now-2017. This wine is 100% Syrah. Alcohol 14.1%. This began with raisin-like, savory flavors, integrated acidity, and structure in the finish. It even had a little thickness. On the second night this showed better balance with bramble, some herbs black fruit, and ruggedness. ** Now-2017. This wine is 100% Trousseau Noir. Alcohol 13.2%. The color was a light garnet. 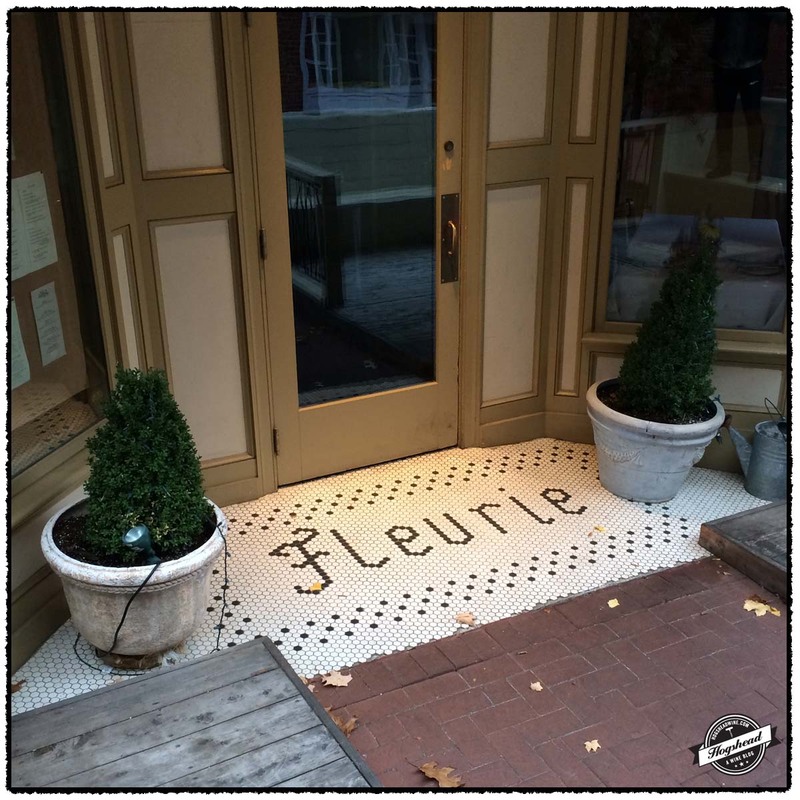 The nose was aromatic with vintage perfume and aromas familiar to the Trousseau Gris. In the mouth were serious flavors. The structure was there and matched the flavors in the finish. It was a little salty, expansive, and beautiful. It took on a little tart fruit. The acidity was lovely, crisp and matched the eventually tangy flavors. **** Now-2019. This wine is a blend of 55% Grenache, 27% Syrah, and 18% Mourvedre. Alcohol ? The nose had some enjoyable funk with red fruit but remained tight. There were lively flavors of ripe, mixed berries that picked up intensity. It continued to drink like a brighter Rhone-styled wine. *** Now-2025. This wine is a blend of 44% Merlot, 36% Cabernet Sauvignon, and 20% Cabernet Franc. Alcohol 13.2%. The nose revealed dried herb and wood overlaying bright fruit and some meat. 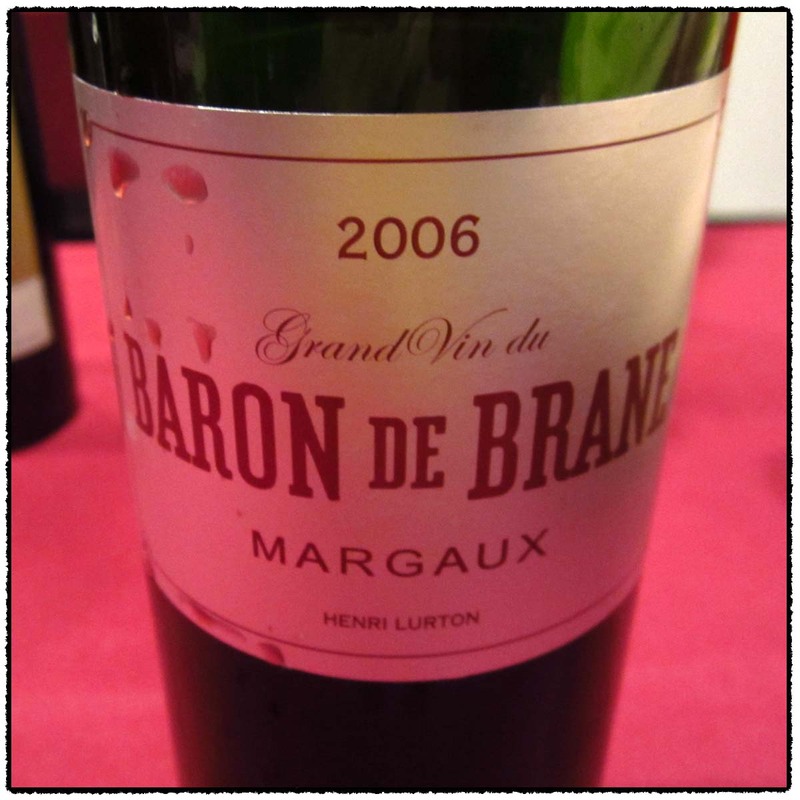 The flavors followed the nose with bright acidity, ripe tannins, and some Big Red notes. This was a youthful wine with young tasting fruit. It became a little herbacious with black graphite, and spicy, drying tannins that coated the mouth. With air this showed dry flavors of bright fruit. **(*) 2015-2019. This wine is 100% Mataro. Alcohol 13.6%. The nose remained right. In the mouth there was more fruit than the Trousseau Noir along with an interesting note of polished old wood. In a sense it was similar to the Trousseau Noir in profile. 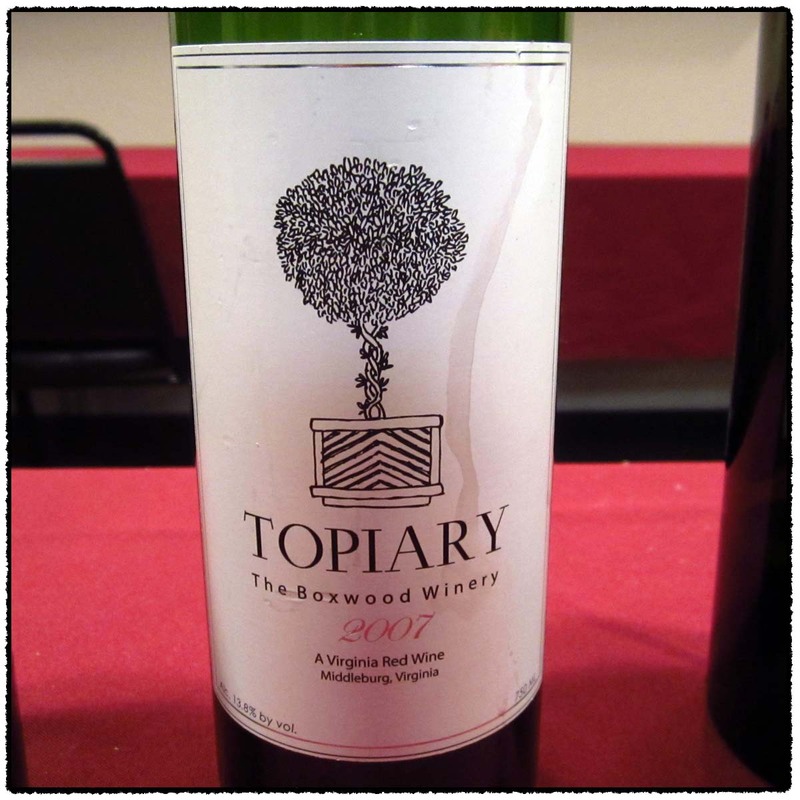 There were enjoyable dense aromas, a little savory flavor, black fruit, attractive graphite, and old-wood notes. Needs cellar time. Lou reported this was great on the third night. ***(*) 2016-2026. Over ten years ago my wife took a welcome break from her law school studies for us to spend a weekend visiting wineries in Virginia. 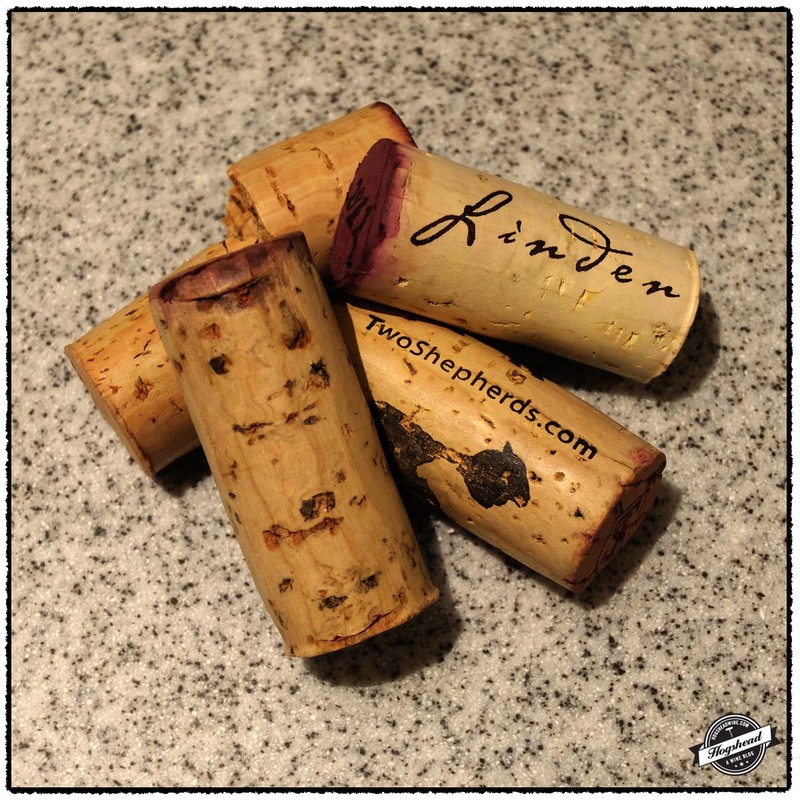 The wines of Linden Vineyards stood out to us then as they do now. We still do not drink much wine from Virginia but through my friendship with Frank Morgan (Drink What YOU Like) I have tried and become aware of more wines. As a result it was not with complete ignorance that I walked into Virginia Wine True To Our Roots tasting. I could only attend the last hour so after conversing with Dave McIntyre (DM Wine Line) I set out to taste what I could. What is more important than reading my short notes is to try some of these wines. If you could try only one from each winery I would suggest 2012 Ankida Ridge Vineyards, Pinot Noir. I was unaware there was Pinot Noir based wines in Virginia and this was very good. 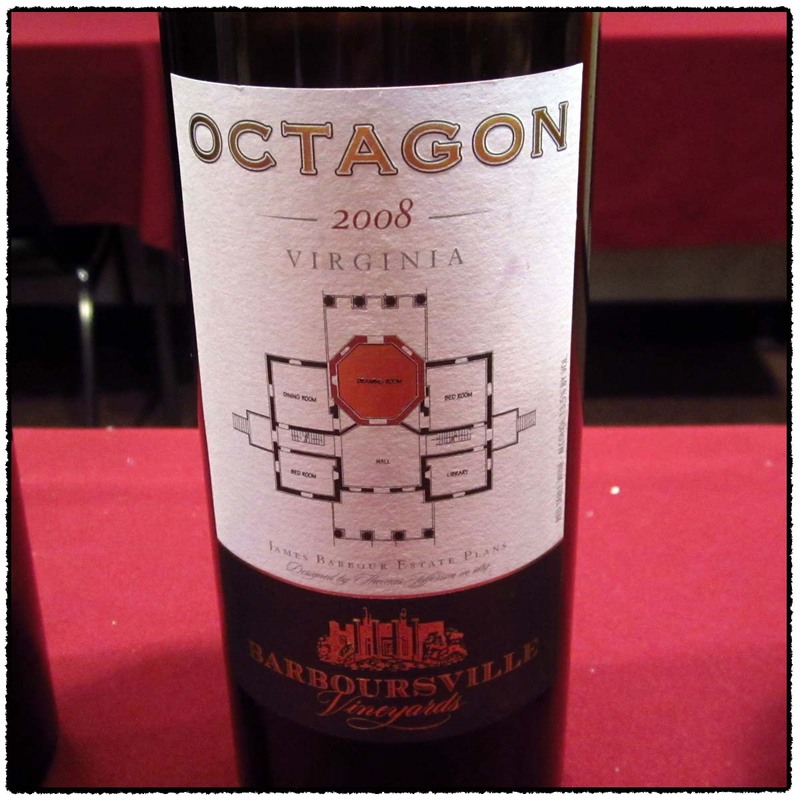 There is, of course, the famous 2010 Barboursville Vineyards, Octagon. There was good depth of flavor and it is poised to develop in the cellar. 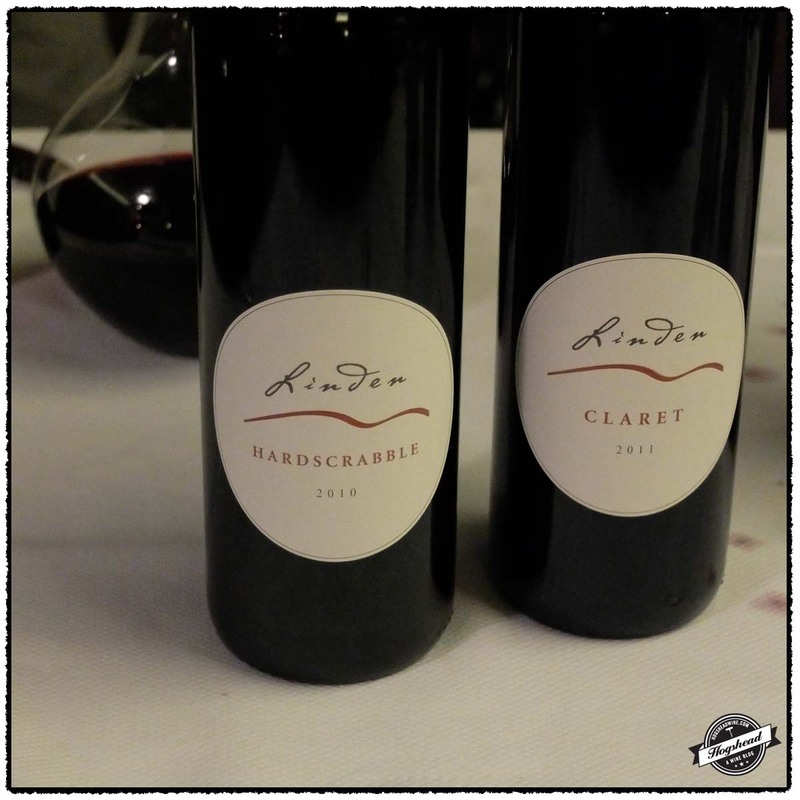 The iconic 2010 Linden, Hardscrabble Red showed very well out of decanter. It is hard to believe this wine is 15.3% alcohol but it was balanced with meaty flavors, herbaceous notes, and the ruggedness of youth. It should develop really well. 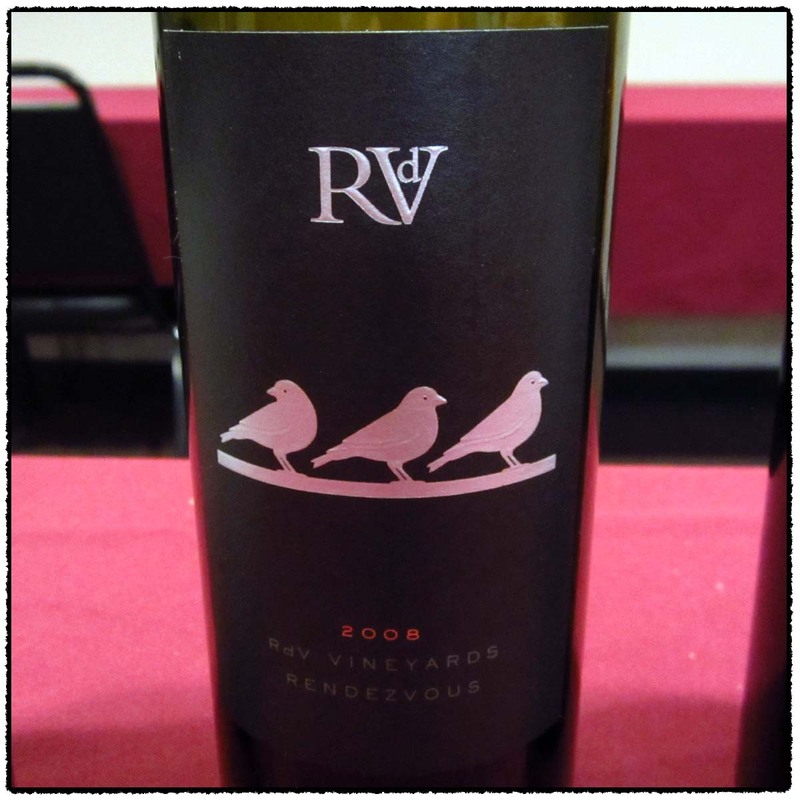 Waves of flavor come out of the 2010 RdV Vineyards, Rendevous so much so that you’ll be amazed at the amount of flavor but also feel the urge to drink more. The 2013 Michael Shaps, Viognier 2013 Michael Shaps, Viognier offers both ample floral aromas with weighty mouth feel but also good acidity and mineral notes. I should note that the tasting was held in Washington, DC at Range, a proud supporter of Virginia wine. This wine is a blend of 85% Vidal Blanc and 15% Pinot Noir which was fermented and aged in stainless steel. Alcohol 10.3%. There was highly lively acidity on the tongue. This tangy wine still had CO2 with drying tannins and dry chalk notes. This wine is a blend of 40% Merlot, 30% Cabernet Sauvignon, and 30% Cabernet Franc that was aged in 20% new French oak. Alcohol 13.5%. This had more greenhouse aromas that mixed with vintage floral perfume. The vintage flavor continued in the mouth with a persistent old-school aspect. This wine is 100% Chardonnay which was aged in 12% new French oak. Alcohol 12%. The flavors had a ripe hint before a yeast note came out and the structure firmed up. It became creamy with supportive oak in the middle and stone notes in the finish. This wine is 100% Pinot Noir which was aged in 25% new French oak. Alcohol 13%. The red and black fruit had that Virginia hint. The fuzzy/fluffy flavors filled the mouth with structure underneath and fine tannins evident in the aftertaste. This wine is a blend of Merlot, Cabernet Franc, Cabernet Sauvignon, and Petit Verdot. Alcohol 13.8%. This was a balanced blend in the mouth showing good depth, black fruit, floral notes, and a little cocoa. It had a racy finish and some grip. There was a textured, aromatic nose of grassy and ripe aromas. The texture repeated itself in the mouth complementing the good flavor. There was a tight nose with very subtle toast aromas. There was a lot of acidity on the tongue, flavors of baking spice, and firmer acidity in the finish. It developed brighter fruit. This wine is a blend of 44% Merlot, 36% Cabernet Sauvignon, and 20% Cabernet Franc declassified fruit sourced from the three vineyards. It was aged for 20 months in older French barrels. There was good, clean fruit in the mouth. The wine tasted young with moderate structure, acidity, and some spice flavor adding to the black and red fruit. This wine is a blend of 83% Cabernet Sauvignon, 14% Merlot, and 3% Petit Verdot that was aged for 21 months in 60% new French oak barrels. Alcohol 15.3%. There were slightly meaty flavors with racy fruit. It was black and almost inky with a slight herbaciousness and dry spices. It bears the attractive roughness of youth. This wine is a blend of 44% Merlot, 24% Cabernet Sauvignon, 20% Petit Verdot, and 12% Cabernet Franc which was aged for 18 months in 100% new French oak. Alcohol 14.9%. There were dense, youthful aromas that came out of the glass. 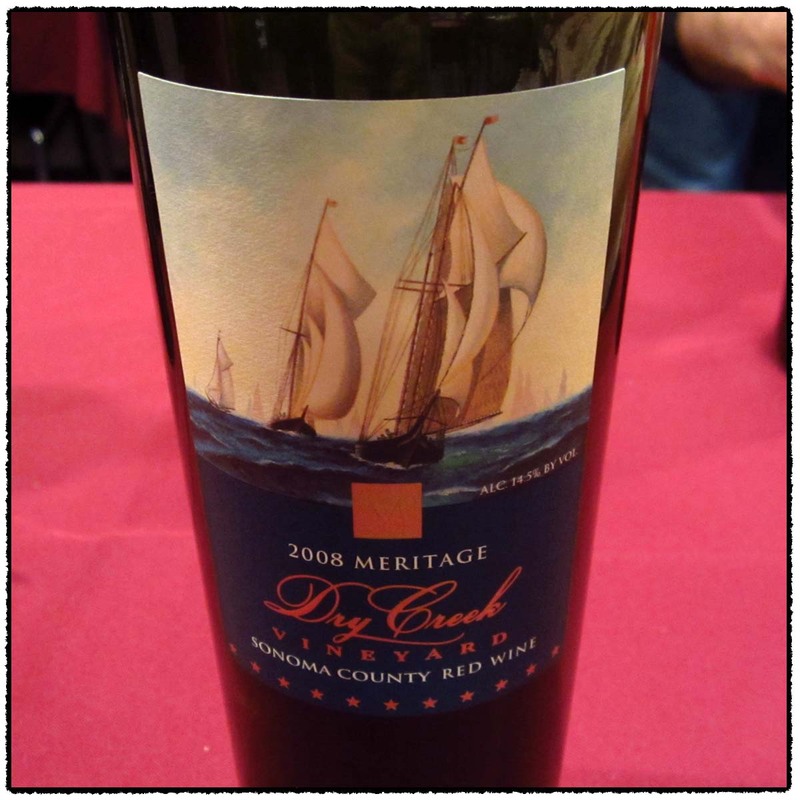 The flavors were concentrated and racy with black fruit, ripe texture, and a spicy hint. The wine was big but so tasty. There was a long, black fruit aftertaste with just a hint of cocoa powder. This wine is a blend of 64% Cabernet Sauvignon and 36% Merlot which was aged for 18 months in 100% new French oak. Alcohol 14.7%. The nose was dark with low-lying aromas. In the mouth dense, red and black fruit mixed before red notes poked out. The wine was drier with spicy tannins that continued into the finish. There was some minerality, baking spice, and a chewy aftertaste. 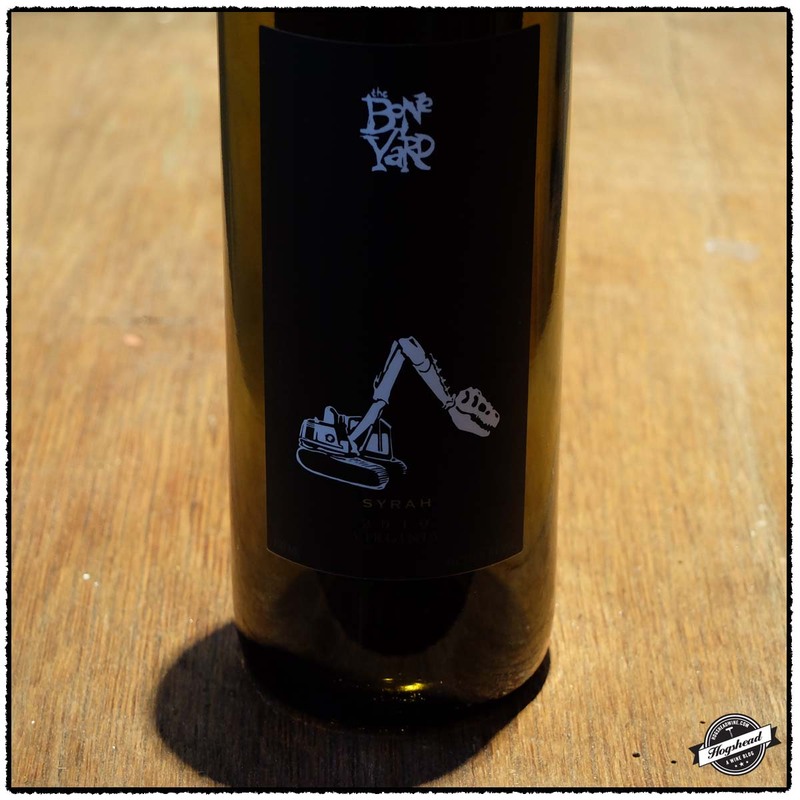 This wine is 100% Viognier which was fermented with native yeasts then aged in stainless steel. Alcohohol 13.7%. The aromatic nose brought right, floral aromas. The ripe start continued to build in flavor with an almost honied feel. Minerals came out in the finish before the wine left a lip-smacking sensation. This wine is 100% Petit Manseng sourced from a single vineyard. It was barrel fermented then aged in 30% new French oak. Alcohol 14.6%. The tight nose made way to good, focused fruit in the mouth. There was a hint of almonds, almost tart fruit, and a little spicy, dry finish. A youthful wine. This wine is 100% Cabernet Franc which was fermented with native yeast then aged for 24 months in 100% French oak of which 50% was new. Alcohol 13.7%. There was focused bright fruit that has that Virginia taste. The wine had a tart side with dense, red and black fruit, and ripe, gum-coating tannins. This wine is 100% Petit Verdot which was fermented with native yeast then aged for 24 months in 100% French oak of which 75% was new. Alcohol 13.7%. There were bright black and red fruit, a racy nature, and a citric finish. The flavors stood out. 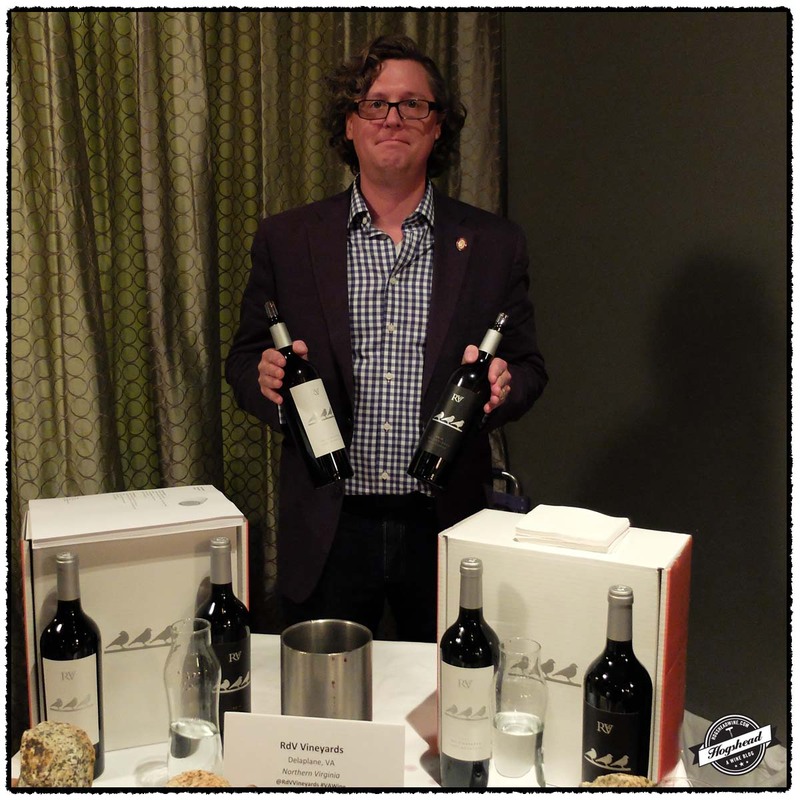 Frank Morgan is in town and having organized a Virginia Versus Other Regions tasting with David White, I found myself taking the Metro across the Potomac River to Crystal City to join them. 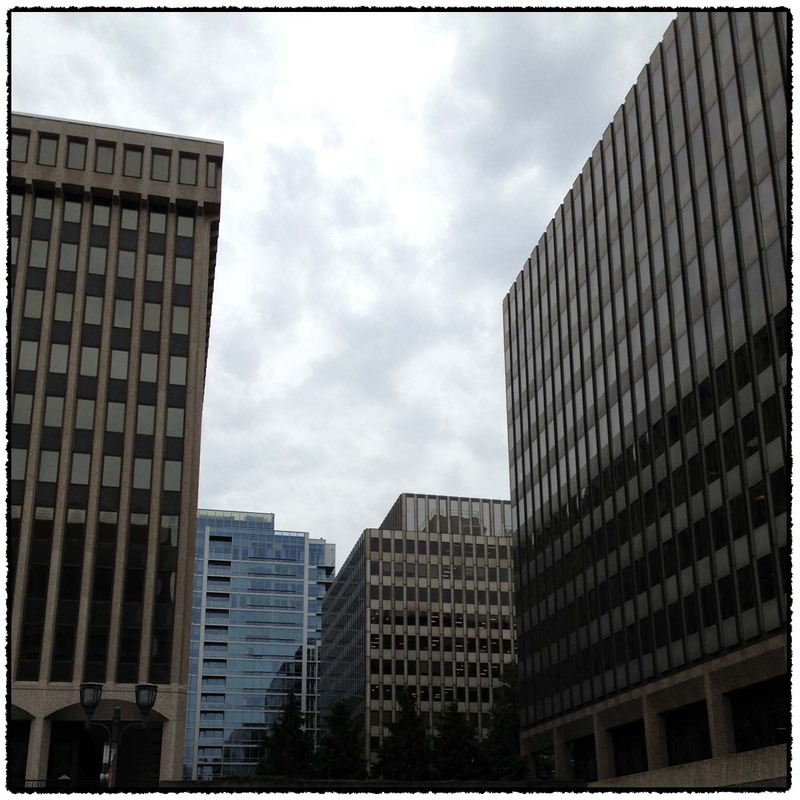 While I have driven through Crystal City over the years the last time I walked around was over two decades ago. Of course I was hopelessly turned around. Fortunately Frank texted my way to an intersection where we met up to begin the evening. 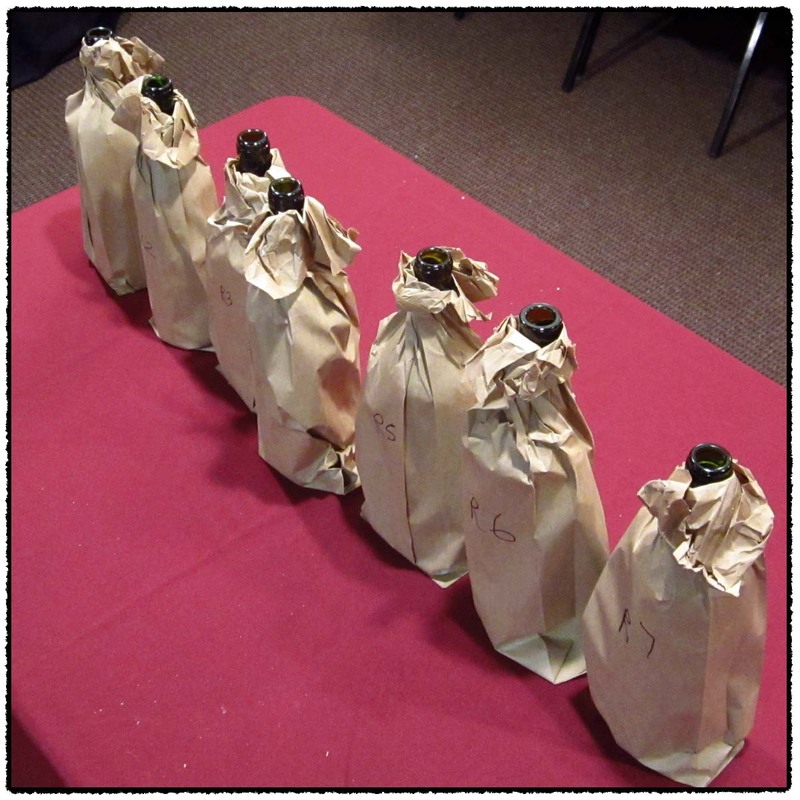 A small group of us gathered at the Washington Wine Academy to taste the seven white and seven red wines blind. 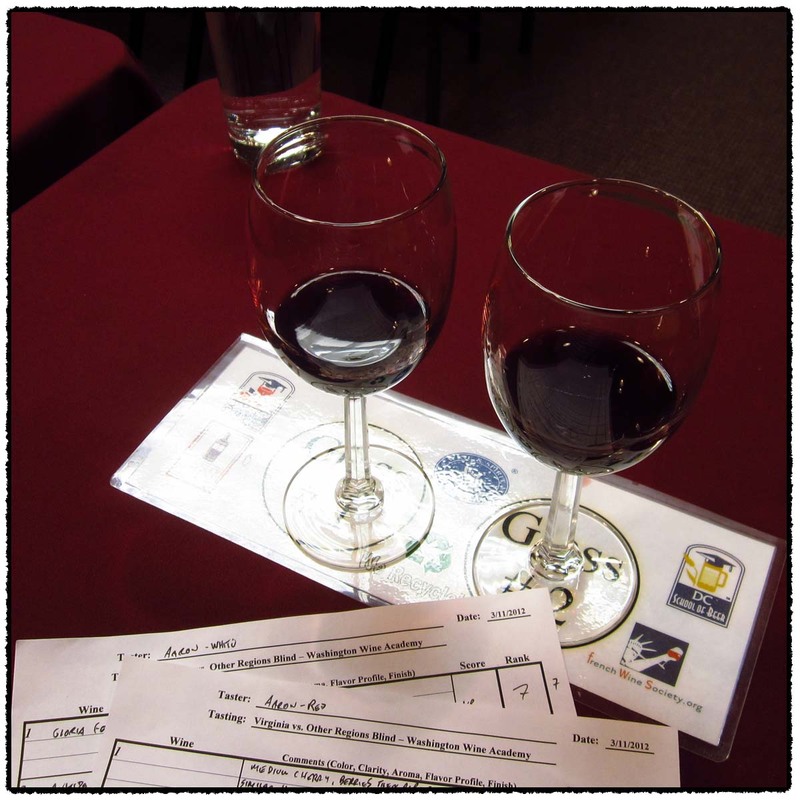 The goal had been to taste wines of matching vintages and to open them all up at the start of the tasting so as to even things up as much as possible. Not that there was an expectation that a particular vintage in Virginia was similar in California or Burgundy. While we managed to have all white wines from the 2010 vintage, the red wines were another story so we ended up with 2006, 2007, 2008, and 2009. Present for the tasting were six people all with websites: Frank Morgan (Drink What You Like), David White (Terroirist), Christian Schiller (Schiller-Wine), Annette Schiller (Ombiasy Wine Tours), Isaac James Baker (Reading, Writing & Wine), and myself (Hogshead Wine). 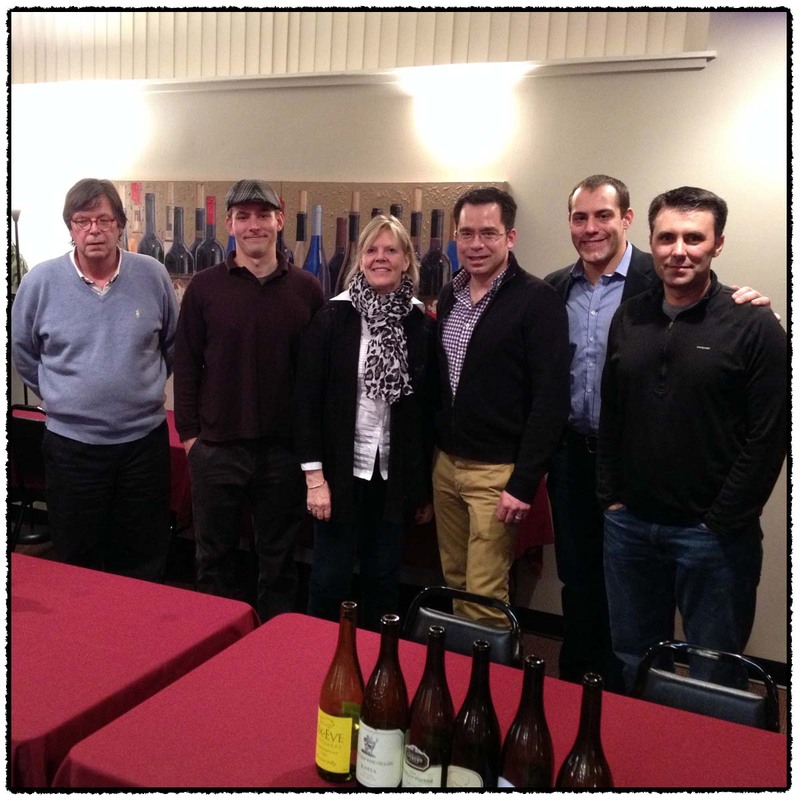 Many thanks to Jim Barker, President of the Washington Wine Academy for graciously letting us taking over his facility. You may read about Isaac’s experience at Virginia vs. The World – A Blind Taste-Off. 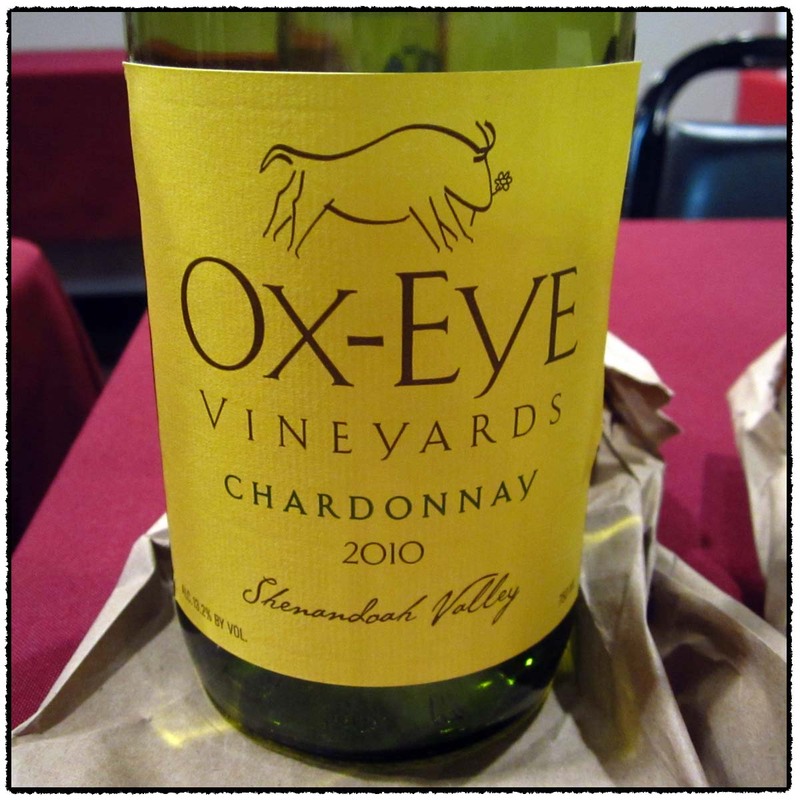 For Frank’s post about this tasting please check out The Virginia Wine Trials, Con’t – Virginia Chardonnay and Red Blends Take On France and California. 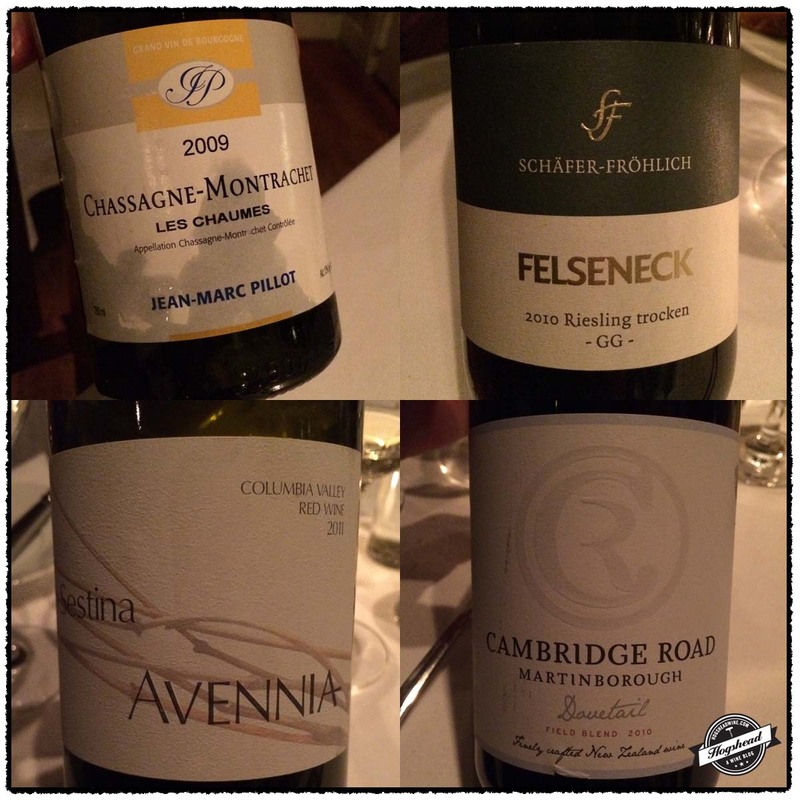 You may read Christian Schiller’s post Virginia versus The World – A Blind Taste-Off. My personal top three wines and those of the group were the same. 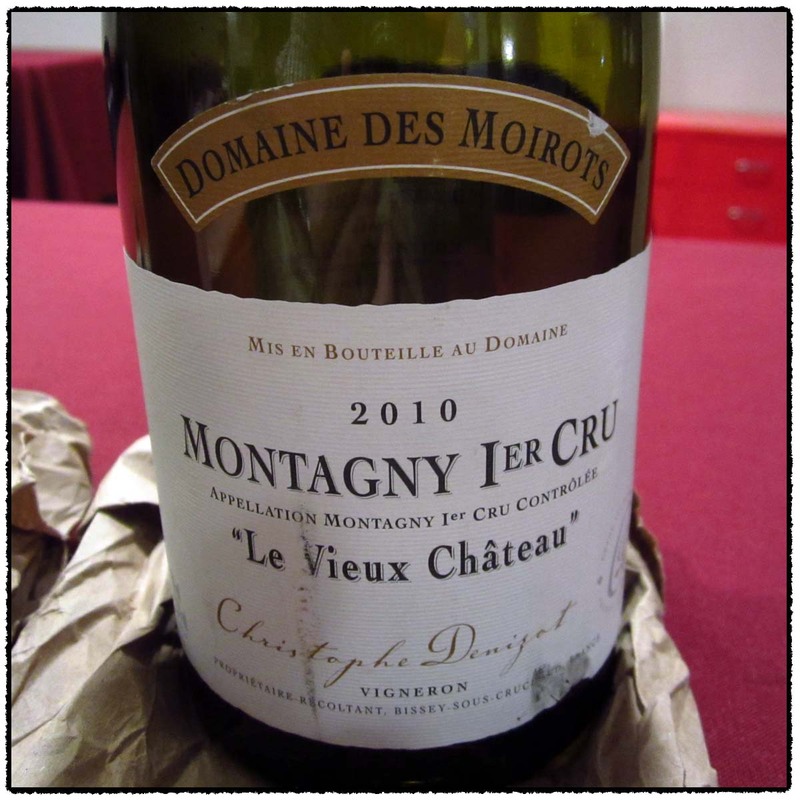 I was pleased to see the Domaine des Moirots come out on top as they produce accessible and affordable wines. While Linden and Ankida Ridge were tied in the group results, I preferred the Linden. This vintage of Linden reflects the heat of the year but also flavors which come from the specific parcels planted in 1985 and 1988. While it is drinkable now I imagine it should develop over the short-term. 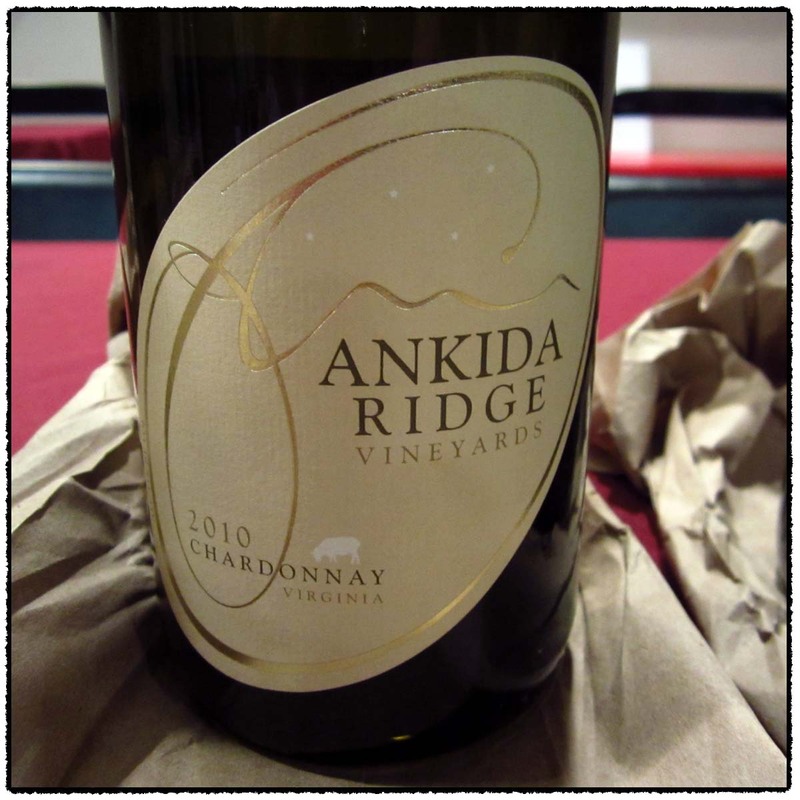 On a much younger front, the Ankida Ridge is produced from 25% estate from a vineyard which was only two years old at the time. I thought it a good inaugural wine. Below you will find my white wine tasting notes presented in tasting order. This wine is 100% Chardonnay sourced from the estate vineyard. The fruit was whole-cluster pressed, 100% barrel fermented with 29% undergoing malolactic fermentation. It was aged for nine months in 27% medium-toast French oak barrels. Batonnage occurred every three weeks for six months. Alcohol 13.5%. The color was a similar light yellow gold as #2. Off bottle. Not Rated. This wine is 100% Chardonnay of which 25% is estate fruit from the Tablas Creek clone La Vineuse and 75% fruit from Bedford County. It was whole-cluster pressed and fermented in oak barrels with inoculated yeasts of which 50% underwent malolactic fermentation. It was aged for nine months in barrel where it underwent regular batonnage. The color was a light yellow gold. The subdued nose had a hint of toast. There was good weight to the start with a bit of acidity then some creamy and a touch ripe fruit and toast. This was driven by the mouthfeel with white fruit and ripeness in the finish. ** Now. This wine is 100% Chardonnay which was lightly pressed then fermented in new and used barrels with cultured and indigenous yeasts. Some barrels underwent malolactic fermentation. It was aged for 10 months on the lees with batonnage. Alcohol 14.2%. The color was a light to medium gold yellow. The nose bore subdued heavier aromas. The flavors were more expansive from the start showing some barrel toast which was well-integrated. The wine was weighty but crisp with chewy acidity. There were sweet spices, interesting flavors, and a richer style which was done well. *** Now-2018. Imported by Weygandt- Metzler. This wine is 100% Chardonnay sourced from half of the 9 ha Le Vieux Chateau vineyard. Alcohol 12.5%. The color was a light straw yellow. The subdued nose was a touch flora with a hint of the sea. The flavors were the brightest yet with apples, a tart finish, and salivating acidity. This tastes a bit young. Eventually some clove came out in the long aftertaste. *** 2014-2019. This wine is 100% Chardonnay from vineyards in and near the Oak Knoll District. The fruit was fermented in 83% barrels and 17?% stainless steel tanks of which 55% underwent malolactic fermentation. It was aged for 8 months on the lees in 29% new French oak. Alcohol 13.5%. The color was a light yellow. There were barrel toast aromas at first. In the mouth the flavors were a bit flabby then turned hollow towards the finish. The yellow fruit lacked verve. * Now. An Alfio Moriconi Selection imported by Saranty Imports. This wine is 100% Chardonnay sourced from vines 40-65 years of age. Alcohol 13.5%. The color was a light yellow gold. There was not much on the nose. In the mouth there was a crisp, focused start with tangy grapefruit and yellow flavors. The aftertaste bore some texture. Young. *(*) 2014-2018. 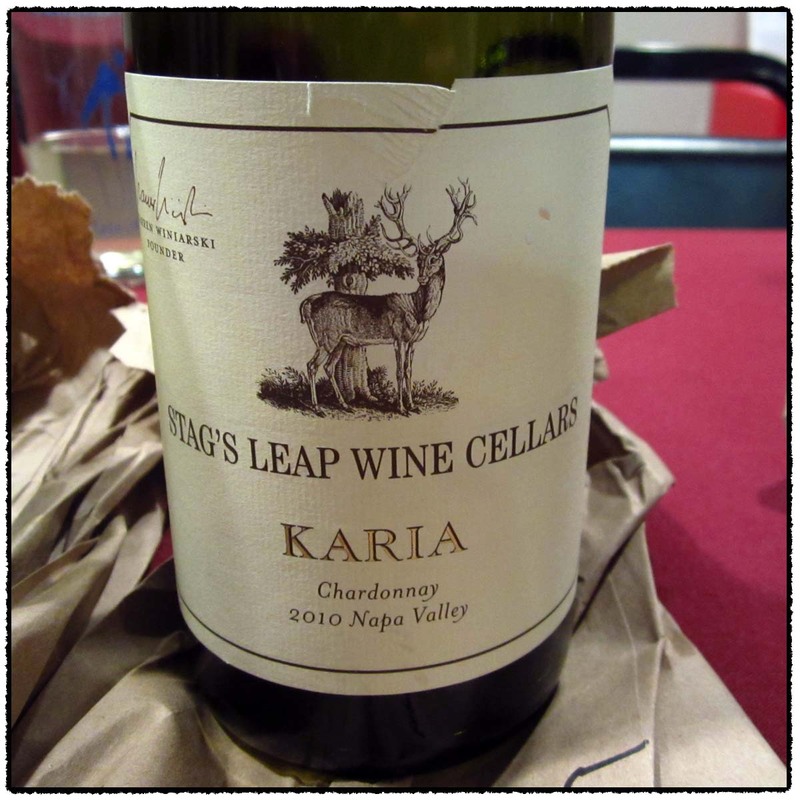 This wine is 100% Chardonnay sourced from vines at 1,830 feet. It was fermented in stainless steel then aged in barrels. Alcohol 13.2%. The color was a light straw yellow. There was a light but decent fruit nose. There was some lively acidity followed by white nuts, juicy fruits, some toast, and spice. ** Now. My personal top four selections were the same as the group but there was generally strong consensus amongst them all. I did clearly prefer the top two wines and had convinced myself that wine #1 was RdV Vineyards and wine #3 was a Bordeaux. What fun to be wrong and prefer the inaugural vintage of RdV! I would recommend cellaring it a few more years. Below you will find my red wine tasting notes presented in tasting order. Imported by Pearson’s Wine & Spirits. This wine is 80% Merlot and 20% Cabernet Sauvignon sourced from 28-year-old vines. The fruit was destemmed and fermented in temperature controlled wooden vats for 25-30 days. It underwent malolactic fermentation then was aged on the lees in up to 80% new oak barrels for 15-20 months. Alcohol 14.5%. The color was a medium cherry. The nose revealed berries then a ripe blackness with air. The mouth was similar with some racy, ripe fruit and minerals. A decent wine with good expansion, chewy tannins, and a fresh finish. It tightened up some in the finish. I guessed RdV Vineyards. **(*) Now-2018. This wine is a blend of Cabernet Franc, Merlot, and Malbec. Alcohol 13.8%. The color was a medium garnet, looking of age. On the mouth there was red fruit and a greenhouse, menthol aspect. The flavors were similar in the mouth with focus and quite a nice mouth feel. There was tart acidity on the tip of the tongue. I guessed Boxwood Winery. ** Now-2016. This wine is a blend of 62% Merlot, 29% Cabernet Sauvignon, 6% Cabernet Franc, and 3% Petit Verdot. The color was a medium to dark cherry garnet. The nose was light and tight with brine aromas. In the mouth the fruit was wrapped in structure with plenty of acidity, and some good mouthfeel. There were fine, spicy tannins in this decent but young wine. I guessed Bordeaux. **(*) Now-2023. This wine is a blend of Merlot, Cabernet Franc, Cabernet Sauvignon, and Petit Verdot. It was fermented in stainless steel tank, macerated for 10-20 days, then aged 12-14 months in new Gamba barriques. Alcohol 13.5%. The color was a light to medium cherry. The light nose bore some fruits along with old perfume, and greenhouse notes. There was ripe fruit in the mouth then focused black and red fruit. It tasted like a Virginian wine. The acidity was there followed by a short finish with black and red fruit. The dry tannins were present on the lips. *(*) Now-2015. This wine is a blend of 63% Cabernet Sauvignon, 25% Cabernet Franc, and 12% Petit Verdot. Alcohol 13.9%. The color was a light to medium garnet showing age. There was mixed fruit on the nose and just a hint of greenhouse. In the mouth there was a mature aspect with soft, expansive overripe fruit. The finish was soft with some tannins. * Now. This wine is a blend of 33% Cabernet Sauvignon, 30% Merlot, 17% Cabernet Franc, 14% Malbec, and 6% Petit Verdot which was aged for 22 months in French and American oak. Alcohol 14.5%. The color was a medium cherry. The nose was subdued. In the mouth there was sweet fruit with a touch of ripeness as it softened up with black cherry that filled the mouth. There was a core of fruit in the finish along with vanilla, and drying, coating citric tannins. ** Now-2018. Imported by Saranty Imports. This wine is a blend of 70% Cabernet Sauvignon and 30% Merlot which was aged for 12 months in 20% new barriques. Alcohol 13%. The color was a medium garnet with some age. There was red and black cherry flavors in the mouth, some maturity, and a lighter aspect which hinted at being hollow. There was a cool, gentle finish with some ripe tannins. ** Now-2015. After tasting through the sake selection Lou and I took a little break by eating some food. Like last year there was an impressive selection of constantly replenished food. There was plenty of game meat including partridge, pheasant, venison, ostrich, and squirrel. 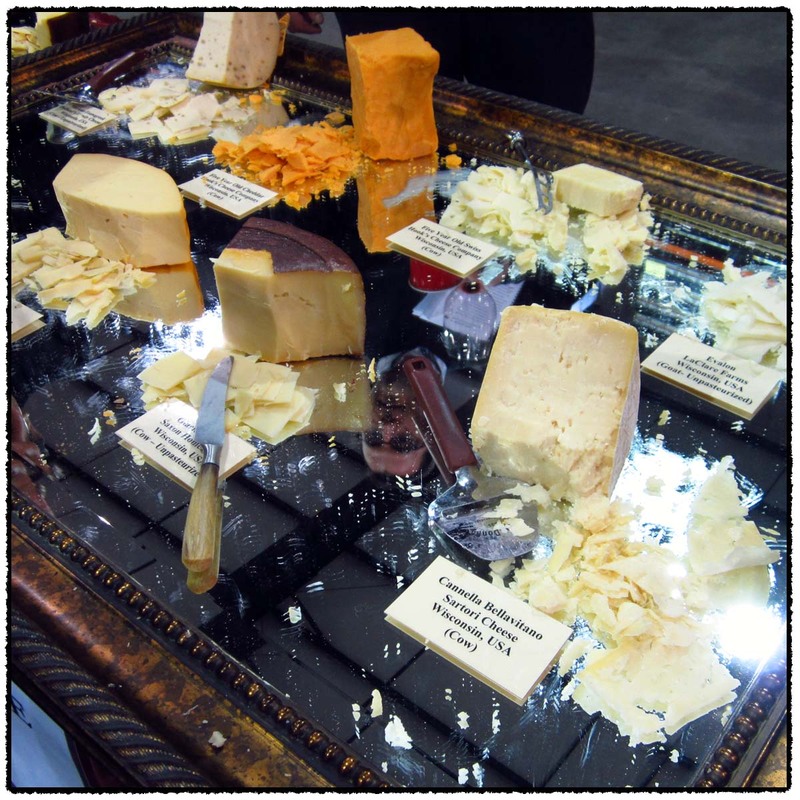 Though the meats were diverse the cheeses alone numbered in the dozens and merited a seven page descriptive handout. The oysters of last year were replaced by a sushi station. There were salads and other sides but I could not help but eat my weight in venison. Fortified, we cleaned up our glasses, drank some water, then set to work on the Champagne and white wines. In addition to the perimeter of tables heavily laden with wine bottles there were a few more tables in the middle of the floor. I think the additional tasting space and reduced number of people made it much easier to taste the wines. 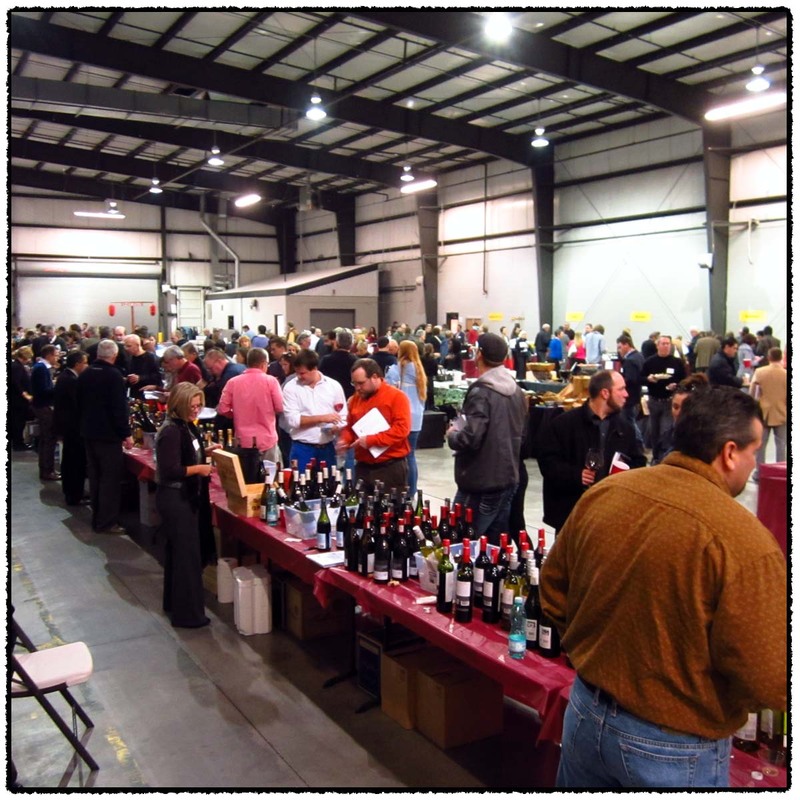 Last year there were so many people at the first session that we had to taste several wines in a row then retreat to jot down notes from memory. This year we were always able to get a spot in front of a table, though we did have to wait at times. This meant we were able to taste a single wine, spit, and write down notes without moving. Of the sparkling wines I thought #370 Charles Duret a good value but it was the #377 Chateau Gaudrelle from Vouvray which was really well done. 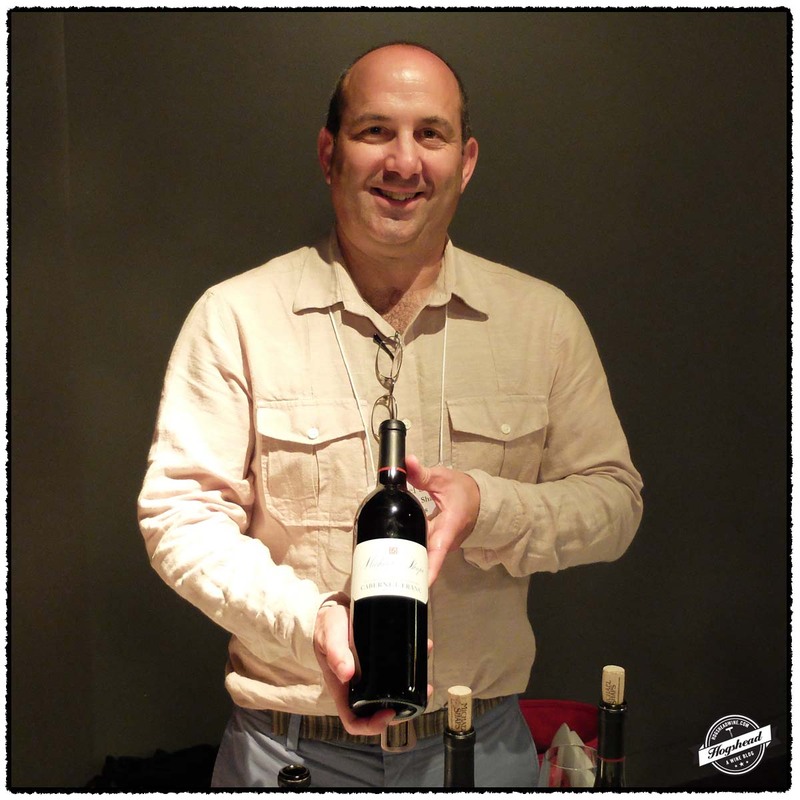 A big surprise was the lovely #378 Colmant from South Africa. 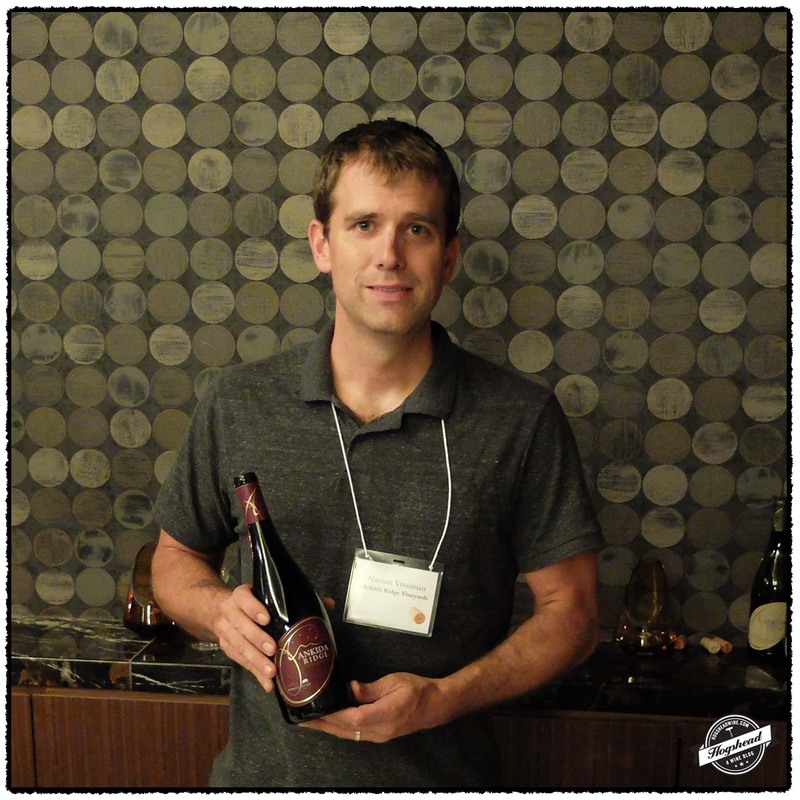 It tasted French and indeed the winemaker Joel Follet has a family winery in Champagne. Moving on to actual Champagne I thought the best of the available selections from Roland Champion was the #382 2007 Special Club. 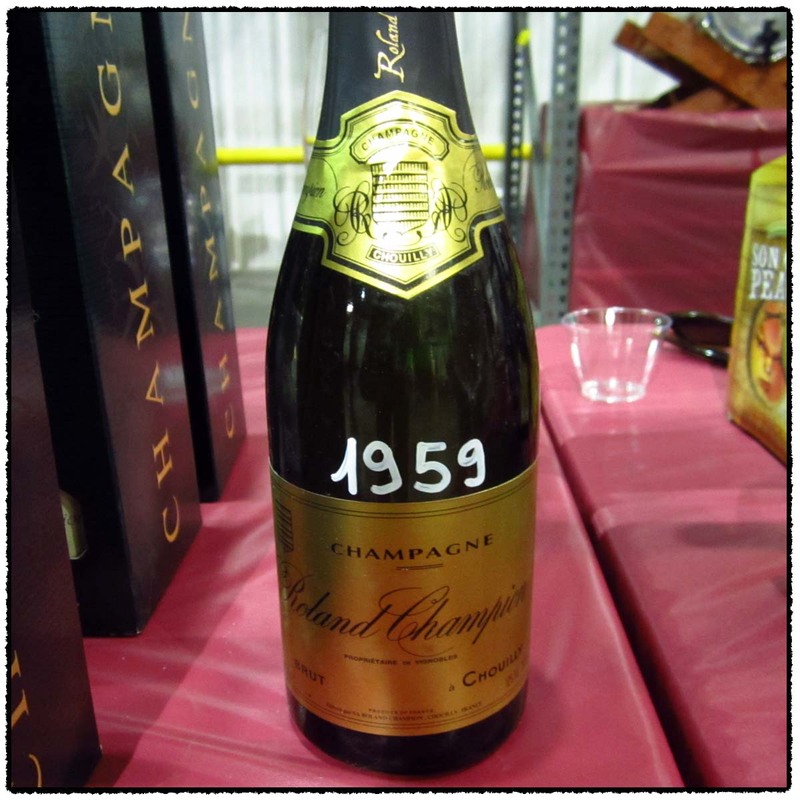 The biggest treat was the 1959 Brut. I was a bit skeptical when I first saw the bottle so I double-checked with both Carole Champion and Jeremy Sutton. This is the 1959 vintage and not a Cuvee 1959? Yes, it was the real thing. A few bottles from the cellar were recently disgorged and brought over as a treat. It was like drinking a fresh, mature white wine with a little bubbly lift. It was a fitting way to end the Champagne tasting and move on to the white wines. The selections from Grand Veneur/Alaine Jaume are so numerous as to require two tables. Therefore we only tasted a small portion. Of the whites I enjoyed the Chateauneuf du Pape Blancs namely #157 2012 Grand Veneur, Blanc and the #158 2011 Grand Veneur, La Fontaine….just like last year. The #118 2010 Perchaud, Fourchaume was very good and a contrast to the #119 2010 Perchaud, Vaucoupin. Similarly priced I really liked #123 2011 Guillemont-Michel, Quintaine. Now a Vire-Cleese I also enjoyed last years offering of 2009 when it was a Macon-Villages. The #124 2010 Saumaize Michelin showed strongly being the first glass from a just opened bottle. It was good to taste #326 2010 Pearmund, Old Vines Chardonnay again. I should like to try it again in a year. We had meant to return for the Pearmund red wines but ran out of time. The #332 2011 Buty, Chardonnay was interesting with good grip. 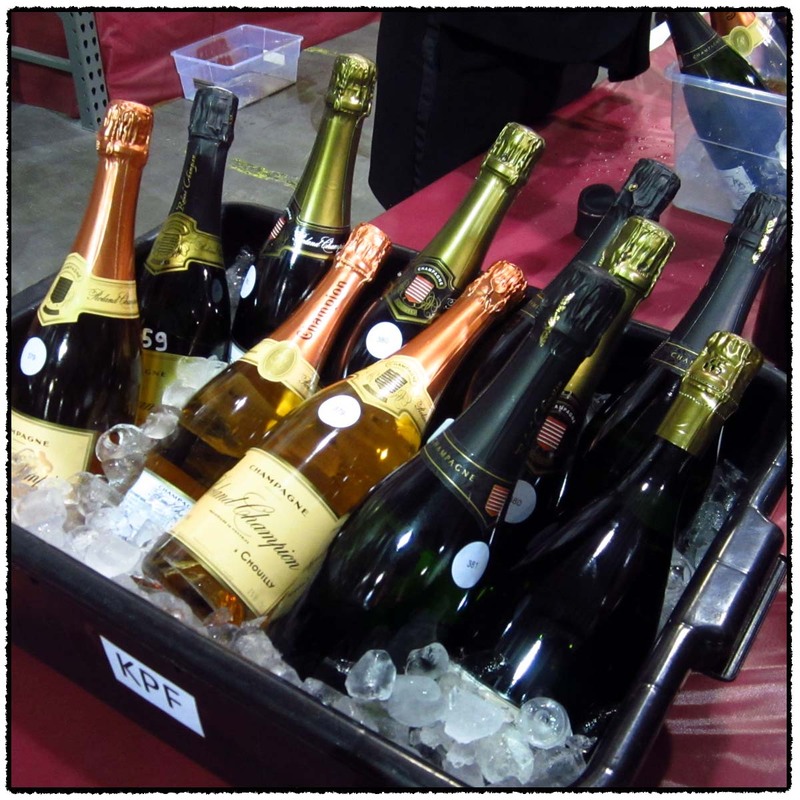 Below you you will find 34 notes split sparkling wines, Champagne, and white wines. I think the notes are best read in order and not individually. Or at the very least a note should be compared amongst its neighbors. I should note that Fran Kysela provides proper wine glasses and the wines were poured at good temperatures. I tried to note color this year. Again read individually the description will lead you astray as the industrial lighting appeared to add green to the lighter wines. Please find my notes in tasting order. This wine is a blend of 70% Pinot Noir and 30% Chardonnay. The color was a very light yellow. The light nose was of ripe apple. In the mouth the flavors were firm with floral and pastille flavors mixing with the bubbles. There was bright acidity and a firm mousse. Good value. This wine is a blend of 95% Gamay and 5% Poulsard. The color was a very light salmon rose. The subtle nose had aromas of apple cider. In the mouth there were fine, firmly popping bubbles, sweet apple cider fruit, ripe flavors, and a spiced finish. This wine is 100% Pinot Noir. The color was a light rose. The nose was tight and subtle. There were rather fine, firm bubbles which popped into a big mousse in the mouth. There was some sweet spiced fruit and a sweeter finish. This wine is 100% Pinot Noir. The color was a light rose. The nose bore very fine vintage perfume. In the mouth there was an acidity driven start, finely popping bubbles, and subtle vintage floral fruit. This wine is 100% Chenin Blanc. The color was a light yellow green. There was a light and tight nose. In the mouth there were rather fine, firm bubbles which popped into a nice mousse which ended by the middle. This was a balanced, easy to drink wine with integrated fruit. This wine is a blend of 52% Pinot Noir and 48% Chardonnay. 10% is of reserve wine and 12% is barrel fermented. The color was a very light yellow green. The very light nose bore floral apples. In the mouth the fine, firm bubbles persisted. There was a subtle yeast note to the fruit, mouthfilling mousse, and drying tannins. Tastes French. This wine is a blend of 70% Pinot Meunier, 20% Pinot Noir, and 10% Chardonnay. The color was a light yellow. The light nose made way to gently firm bubbles which quietly popped in the mouth. The white fruit flavors were gentle in the mouth. There was a touch of yeast note. This wine is 100% Chardonnay aged for at least 30 months. The nose was tight. There was a firm start in the mouth with very fine bubbles, good acidity, and good presence. This was a light golden yellow. There was good up-front power to the fruit which mixed with the bubbles. The good fruit was of spiced apple and white fruit. There were drying tannins which coated the inside of the lips. Nice. Young. This wine is a blend of 40% Pinot Noir, 40% Pinot Meunier, and 20% Chardonnay of which 70% is from 2007 and 30% 2006. The final wine is 15% red wine from Verneuil aged at least four years. There was a light rose color. The light nose showed some funk and lactic aromas. In the mouth there were very fine, firm bubbles which quietly pop. There was tart red fruit, apple acidity, and drying aspect towards the finish. This was disgorged at the end of 2012. There was a light yellow color. The light nose was of a mature white wine, complex with wood box aromas. In the mouth there were very subtle bubbles and mature flavors in this fresh and very complex wine. There was some toast and wood box notes in the finish. A real treat. This wine is a blend of 50% Roussanne, 40% Viognier, and 10% Clairette. The color was a very light yellow. 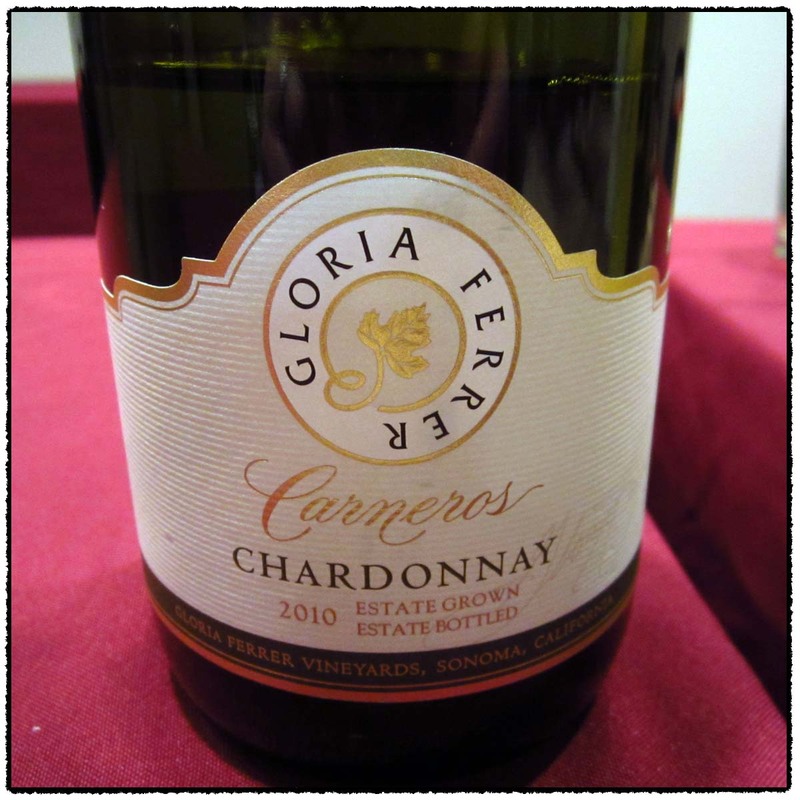 The nose was floral with honeysuckle like aromas and good fruit. In the mouth the flavors were fruit driven, gentle, and a touch soft. This wine is 100% Viognier. The light nose had finer, floral aromas. In the mouth the fruit was initially soft but then honeysuckle and structure came out. It was still a bit soft compared to the acidity. There was a drying, citric finish. This wine is a blend of 60% Clairette and 40% Roussane. The color was a very light yellow. There was a light, refined nose with a touch of sweet florals. The mouth follows the nose but adds vintage perfume, some roundness, and good length. This wine is 100% Roussanne. There was good mouthfeel to this oily, easy to drink and almost brambly wine. The fruit was yellower with spices. Served cool but not cold. This wine is 100% Chardonnay from 25 year old vines. The color was a very light straw yellow. The light nose had yellow fruit with some fat to it. There were flavors of toasty apple which became drier towards the finish where there were dry tannins. This wine is 100% Chardonnay from 35 year old vines. The light nose was of fine, yellow fruit in a structure. In the mouth the acidity driven flavors were lively, almost masculine. The yellow and white fruit had good presence and mouth feel. Young with good potential. This wine is 100% Chardonnay from 35 year old vines. The color was a very light yellow green. The nose was more austere. The fruit had tang with good acidity, stones, and plenty of focus. There were some tannins and more structure than the Fourchaume. There was an apple-like finish. 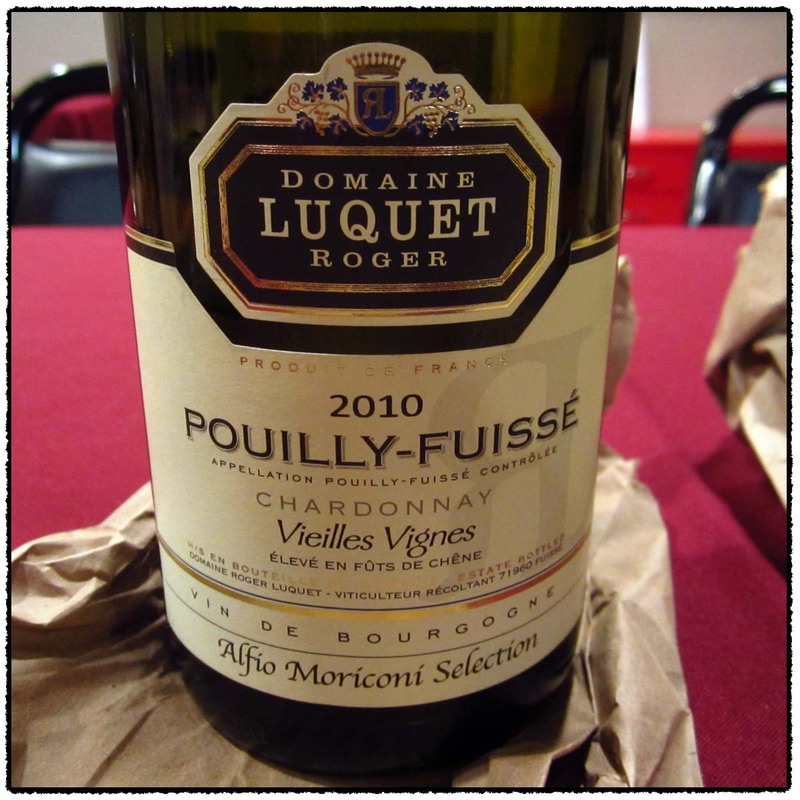 The nose was fresh with good, green veggies and white fruit. The flavors were simpler in the mouth with a yeasty, earthy note. Good acidity. This wine is 100% Chardonnay sourced from 40 parcels averaging 45 years of age. Vinified in stainless steel and underwent malolactic fermentation. The color was a light yellow. The light nose had low-lying, darker fruit. There was a soft and gentle introduction followed by shorter flavors. This wine is 100% Chardonnay sourced from 40 year old vines. This was acidity driven with brighter, fresh fruit that showed both weight and tang. The flavors were lighter. This wine is 100% Chardonnay sourced from 45 year old vines, vinified in stainless steel, and underwent malolactic fermentation. The very light nose was apple-like. In the mouth there was white and yellow fruit which was lively with good grip. Nice wine. The color was a very light yellow green. The flavors were fat in the mouth with a wood note and old-school taste. There was a core of fruit. Good weight, apple grip, and tangy flavors in the finish. The first pour from a freshly opened bottle. The color was a very light straw yellow. The nose was rather light and tight. The soft fruit made way to white fruit but there was not enough acidity. There were some spices in the finish. This The color was a very light yellow straw green (wow!). There was a very light but good nose. In the mouth the grippy yellow fruit had some soft edges but was certainly structured. There were dry, ripe tannins. This wine is a blend of 60% Semillon, 21% Muscadelle, and 19% Sauvignon. The color was a light yellow. The light nose was of ripe, white fruit. There was good mouthfeel then the flavors dried up. This was a bigger wine with structure and tannins. Not quite sure what it was. This wine is 100% Chardonnay. The color was a light yellow. The light nose was almost earthy with yellow fruit. There was fresh, grippy, driven yellow fruit which had some spices to it. The grip continued into the finish. Well done. This had a light nose of drier yellow fruit and hot dogs. The mouth followed the nose with sweeter fruit, acidity, and some spice. The color was a light, to medium golden yellow. The nose was of yellow fruit and yeast. In the mouth there was tropical fruit, a creamy mouthfeel, and a subtle toast note. It took on a soft edge towards the finish where there were spices. Young. This was a very light yellow straw color. The light+ nose was of tropical fruit. The mouth followed the fruity nose with grip and spices. Off-dry. This wine is 100% Chenin Blanc. The color was a light yellow. The very light nose revealed some fruit. There was light fruit in the mouth, old wood?, lively acidity, and some grip. This wine is a blend of 95% Chardonnay and 5% Viognier. The color was a very light straw yellow. The light nose was very pure with grassy and ripe fruit. In the mouth the flavors were acidity driven with a powdery, chalky note, and a clean, drying finish. 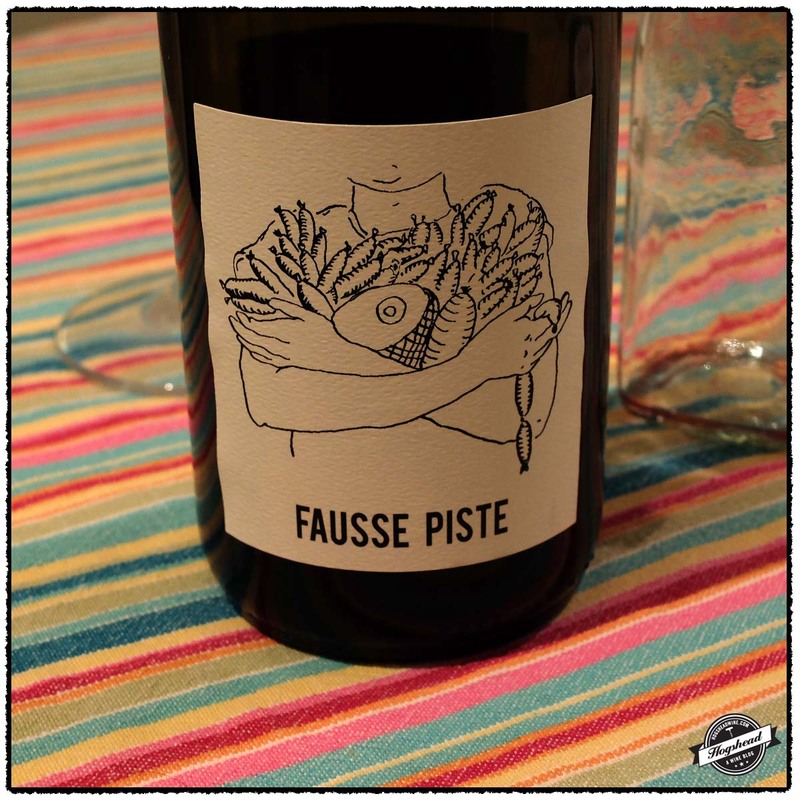 This wine is a blend of 65% Chenin Blanc, 26% Clairette Blanche, and 9% Viognier which was aged for 11 months in older French oak barrels and one foudre. The color was a very light yellow. The nose was very tight with a yeast note. In the mouth the wine was shutdown with yeast, old wood, vintage perfume, and fruit. There was very bright acidity and a chunky nature. I imagine this needs some age. 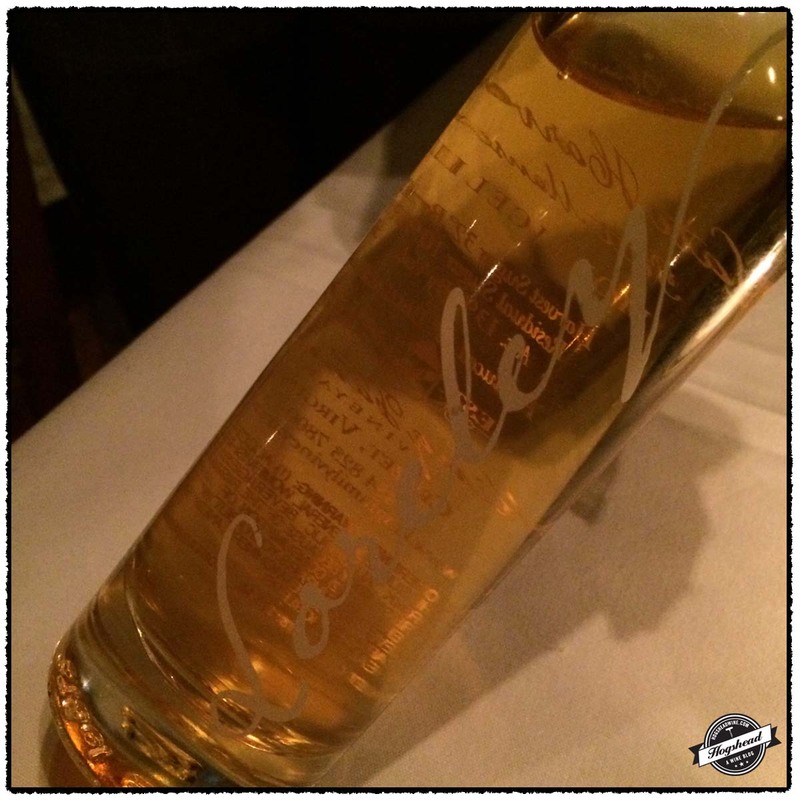 This wine is 100% Chenin Blanc which was aged for 11 months in used French oak barrels. The color was a very light yellow. The very light nose was of yellow and tropical fruits. 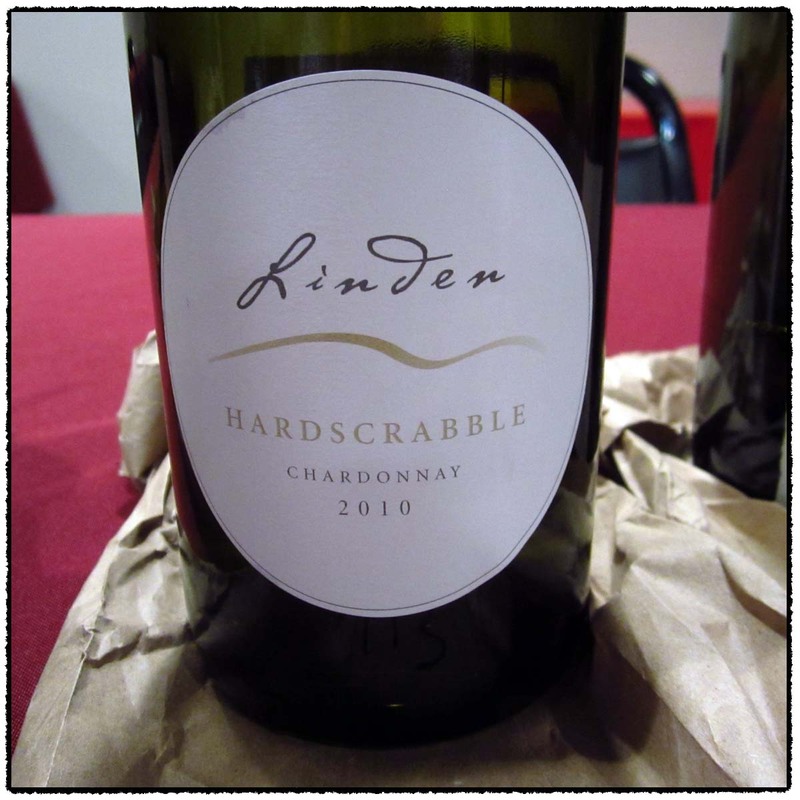 There were smokey, minerally white fruit then yellow fruit with a bacon note.